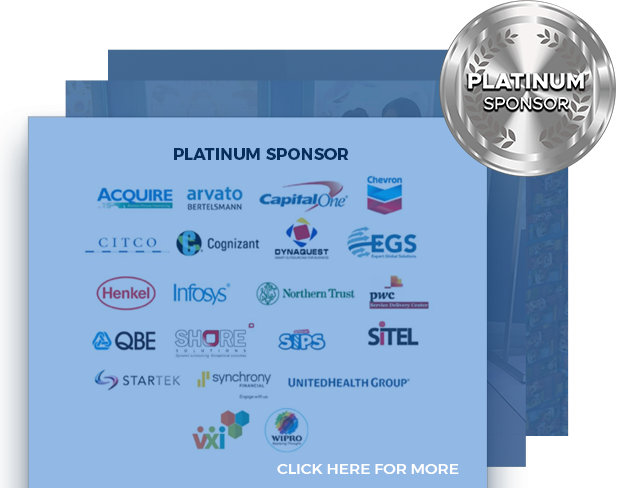 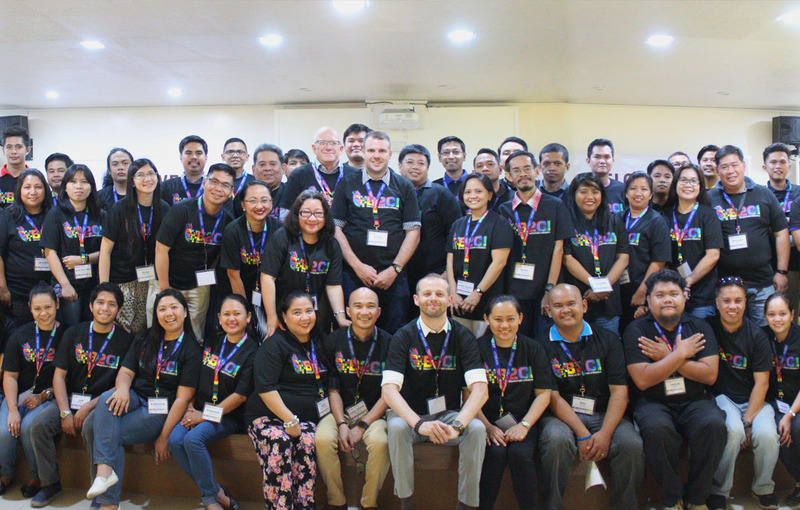 organizations that share its advocacy. 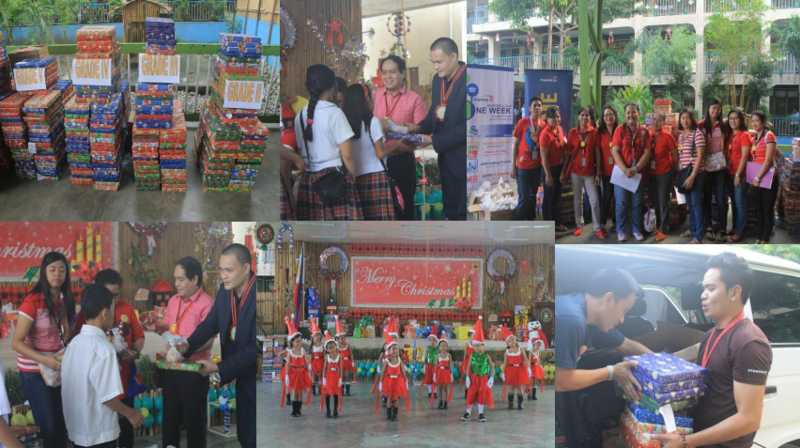 My Dream in a Shoe Box is a collaborative outreach campaign by Information Technology and Business Process Association of the Philippines and Team Asia, which was created to help children in need by providing them shoe boxes filled with school supplies. 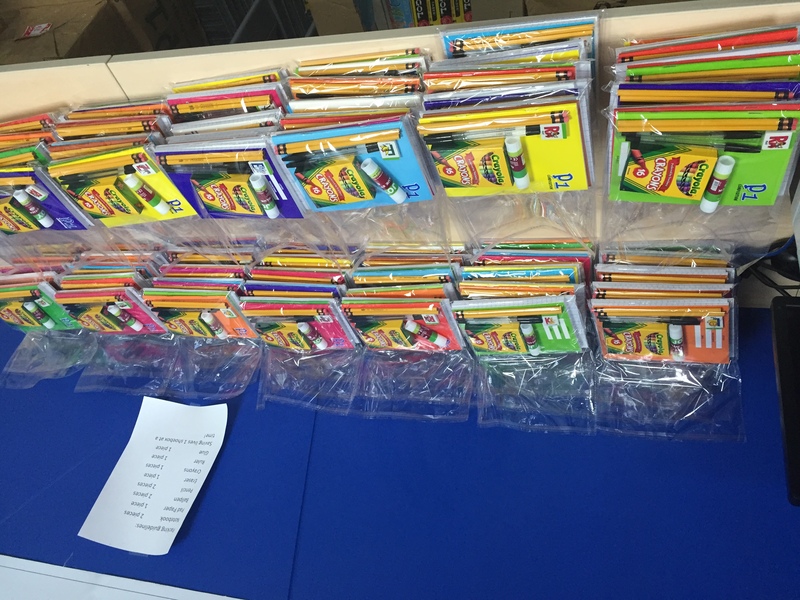 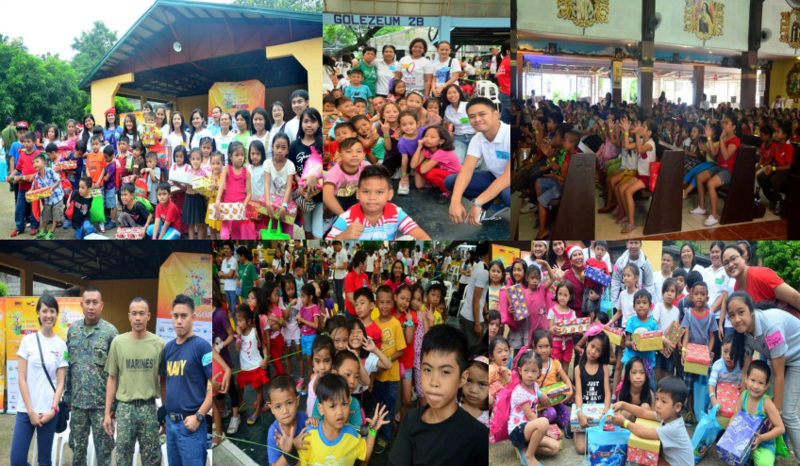 Headed by TeamAsia and the IBPAP, this annual educational donation campaign aims to provide every child in need of school supplies, in which DynaQuest is an active participant. 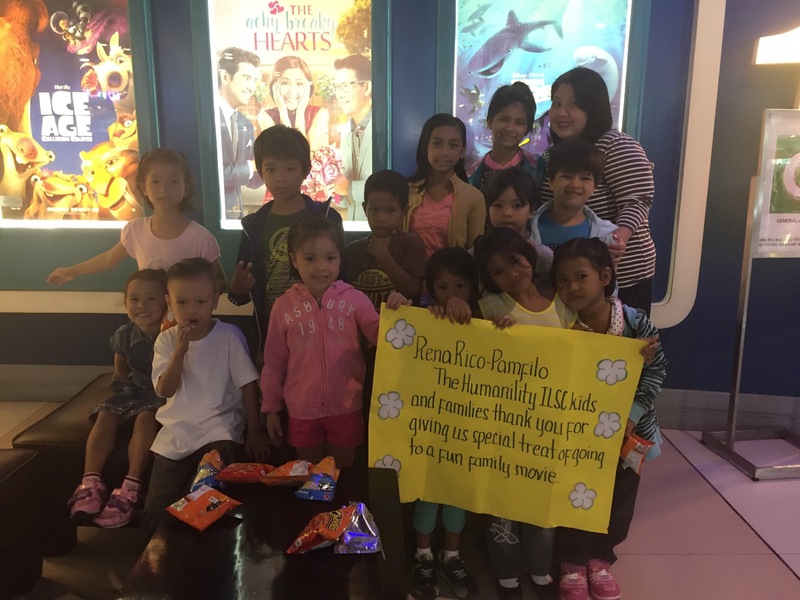 Humanility is a non-profit charity organization that aims to help street children and orphans have productive lives. 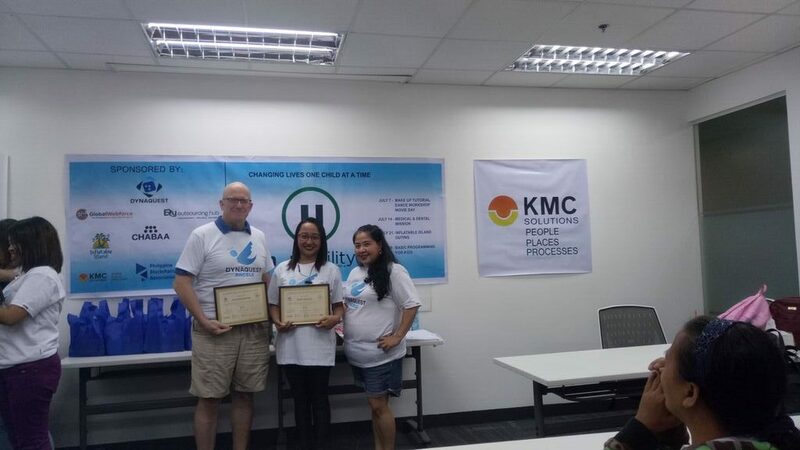 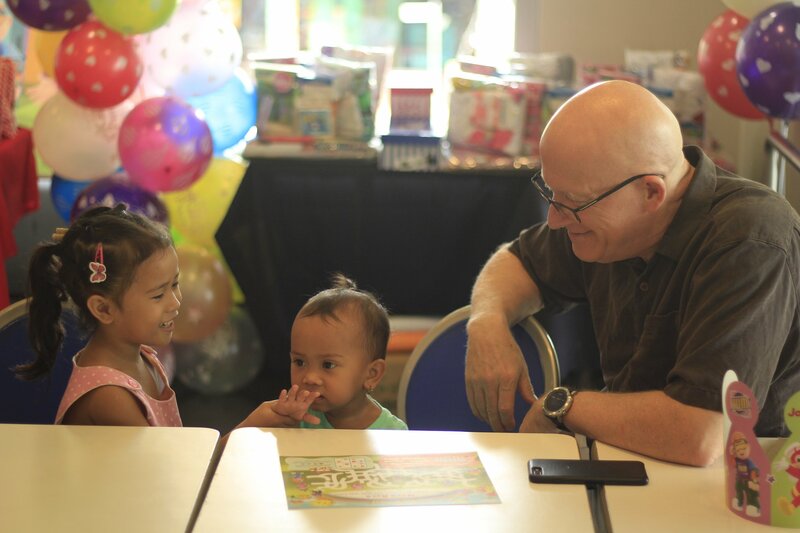 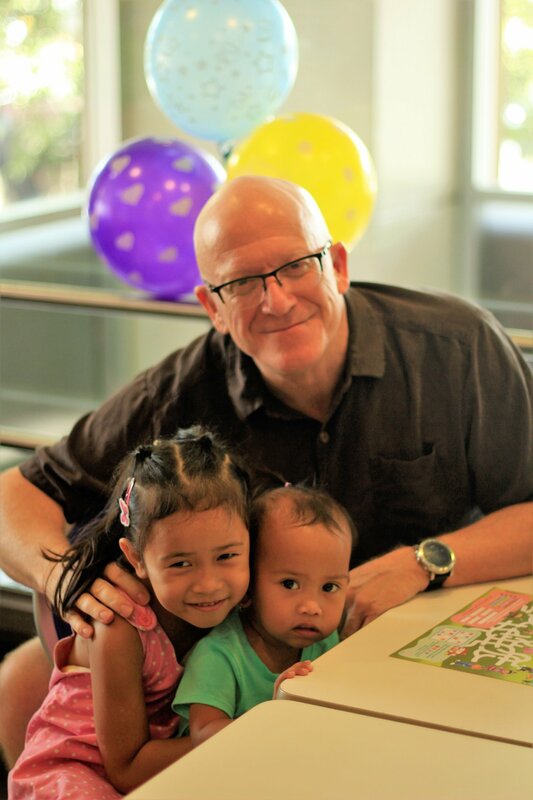 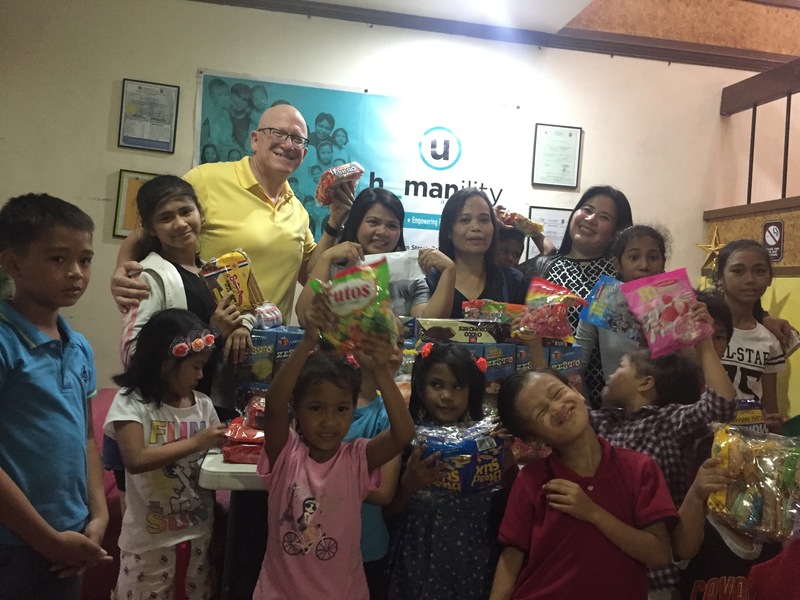 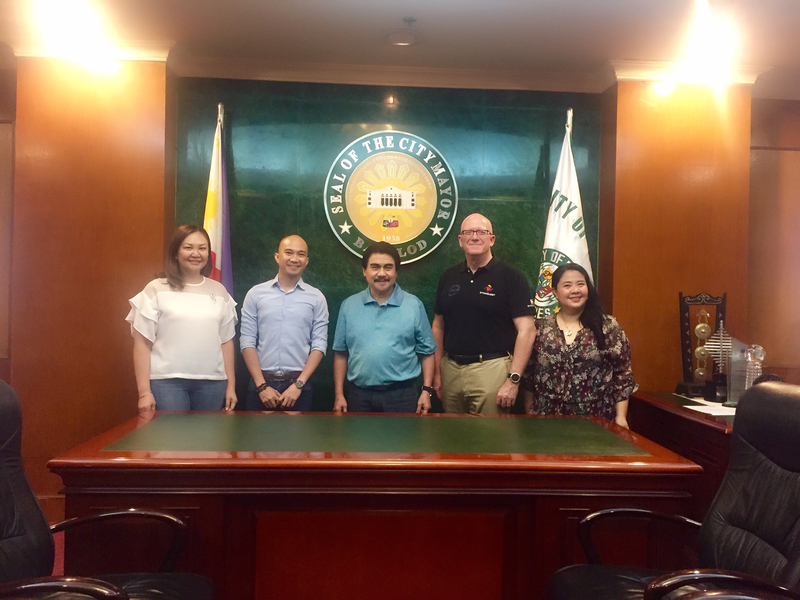 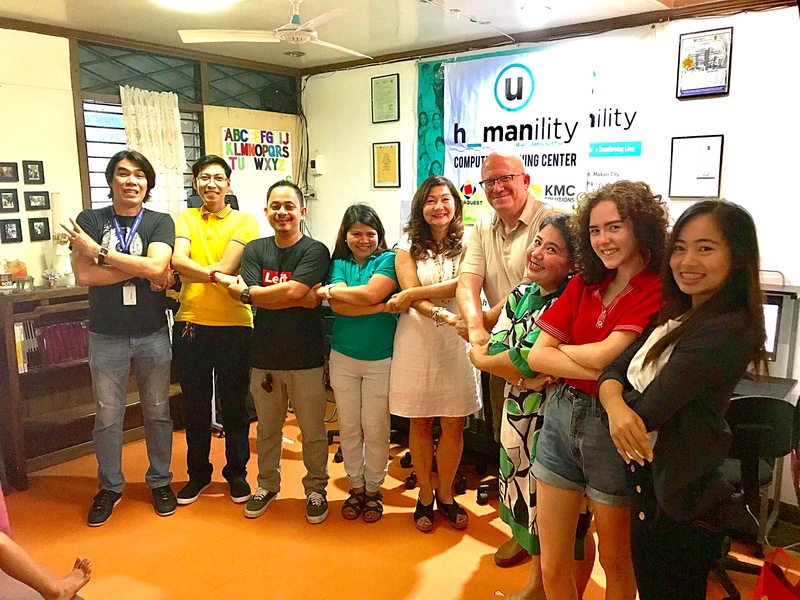 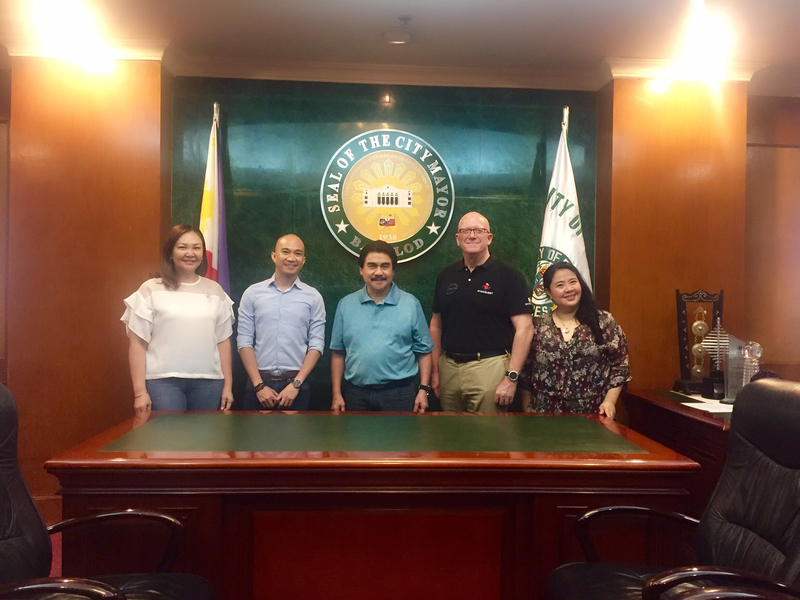 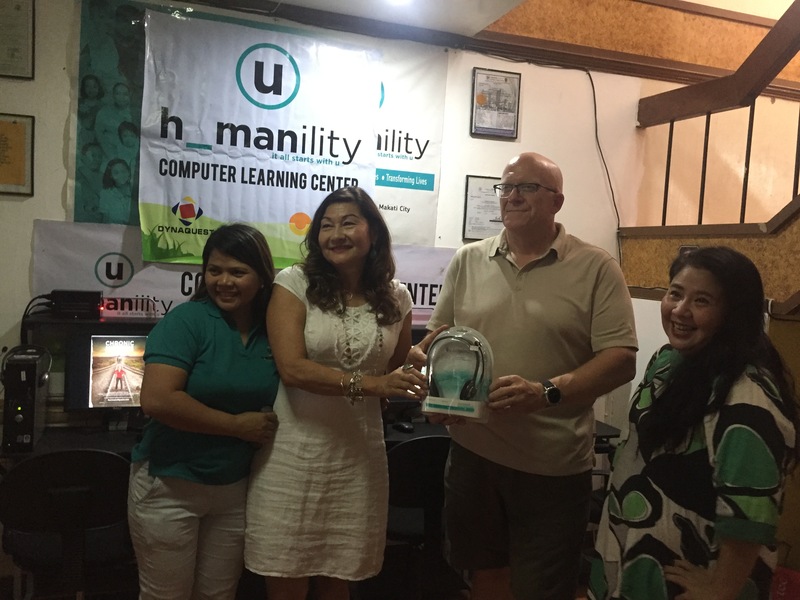 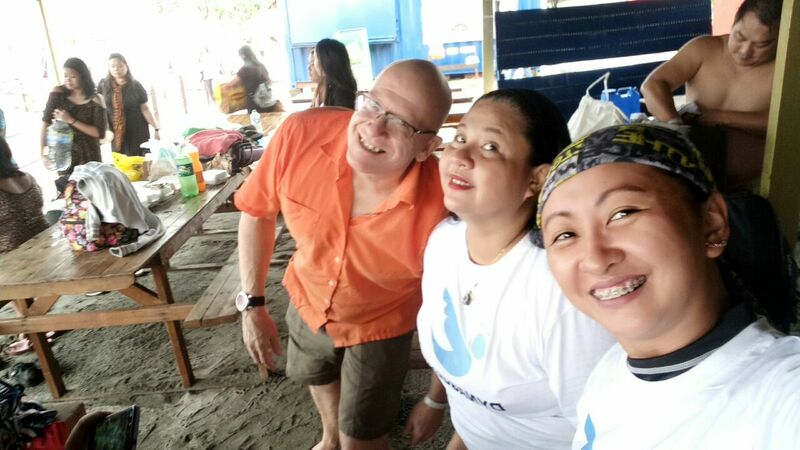 DynaQuest President Randy Knutson, is one of the Board Directors, while Country Director Gail Macapagal is the Philippine Representative of the Humanility Project. 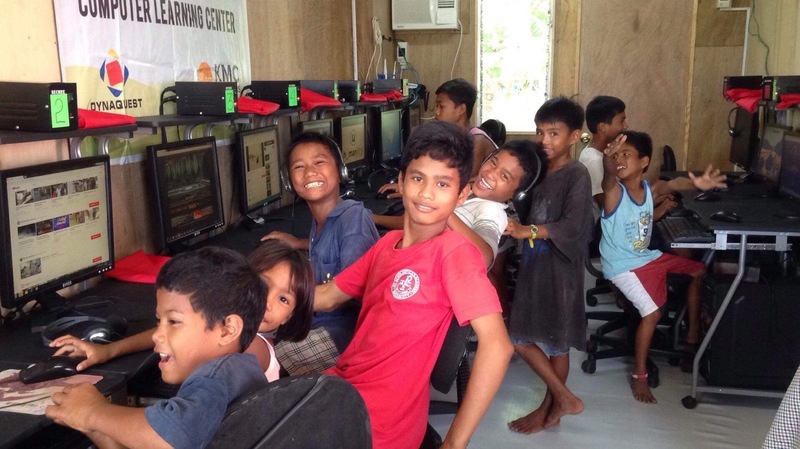 They have worked with the organization to aid children in need and collectively have donated and procured computer learning centers in both cities and rural areas that helped countless children learn the basics of computer programming, which will transform their lives and have a brighter future ahead. 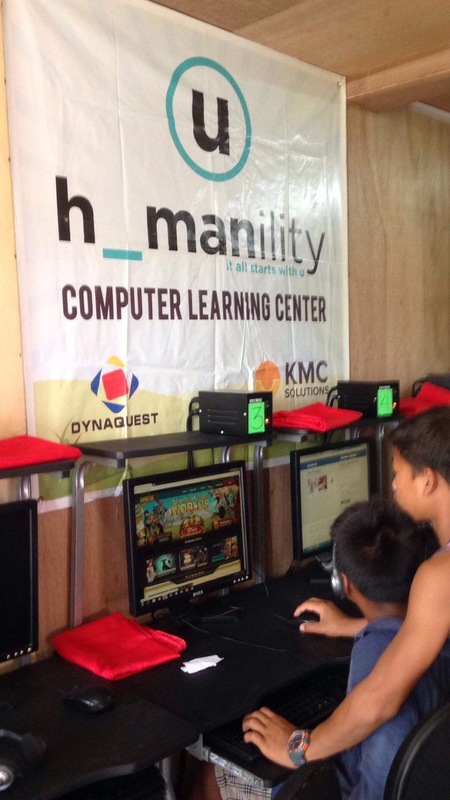 DynaQuest has always been advocates of instilling computer literacy to children, as we believe that this holds the key to a bright future. 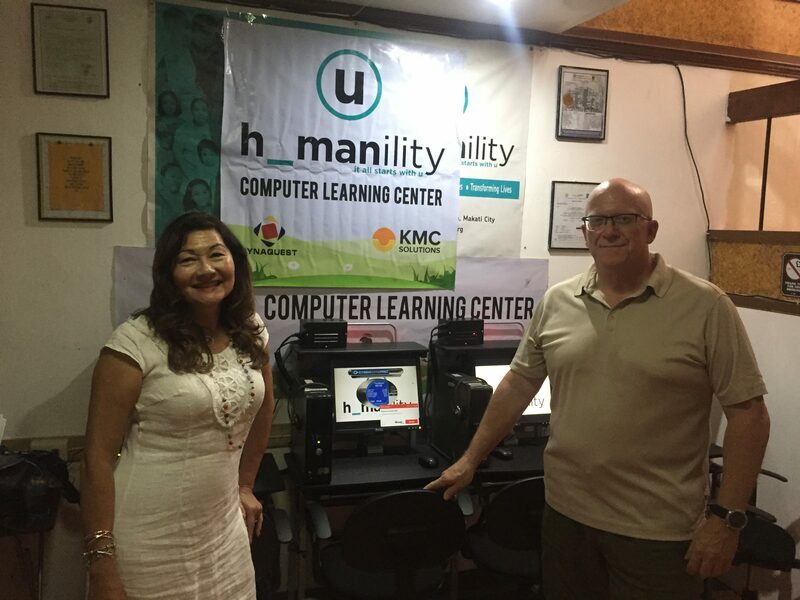 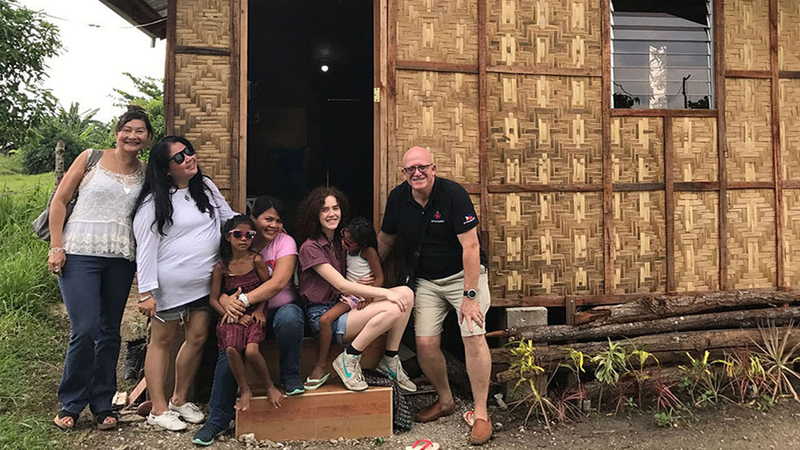 When Randy Knutson and Gail Macapagal went to Bogo, Cebu last 2017 to see the status of the local Humanility Shelter, they found out that Bogo is severely lacking in computer facilities, let alone a stable internet and electricity connection. 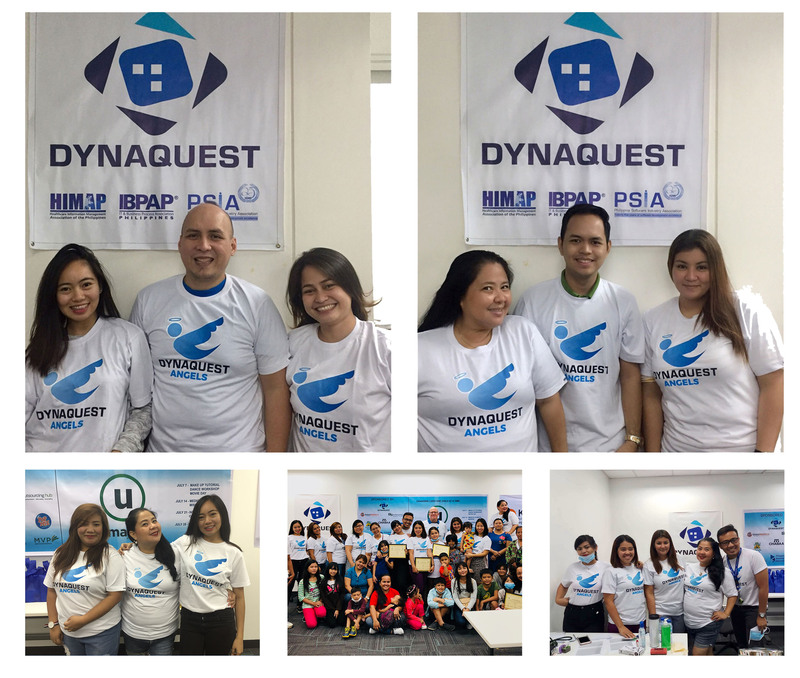 This is why together with the DynaQuest team, they decided to act and do something about it. 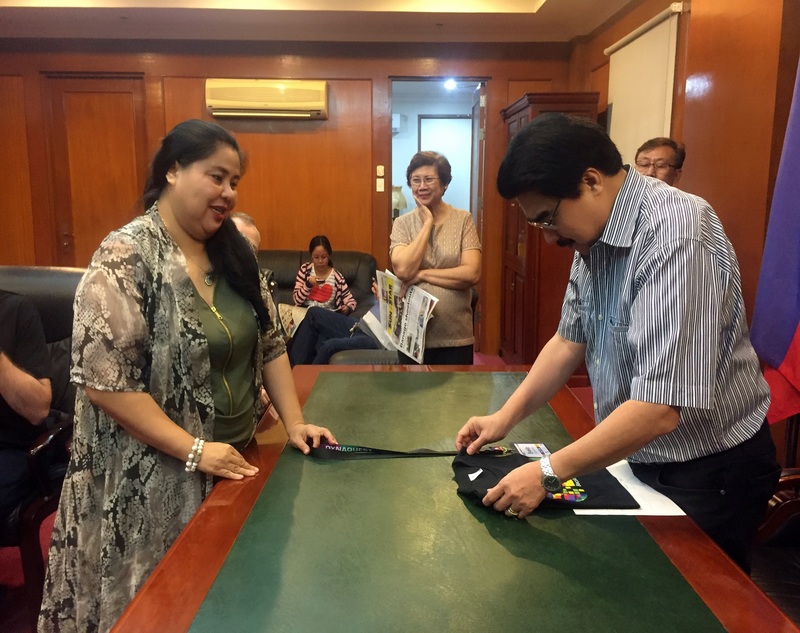 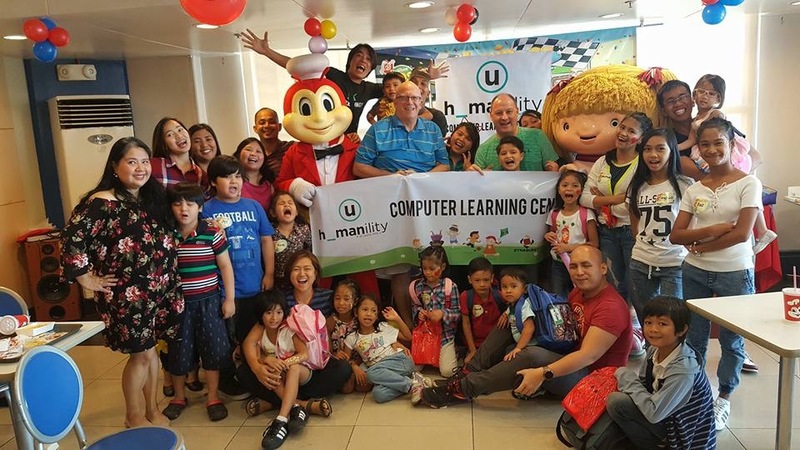 And as a way of acting on our advocacy, we have solidified our partnership with Humanility and formally turned over the Computer Learning Centers in Makati and Bogo, Cebu, to help the children have a place to access computers and learn. 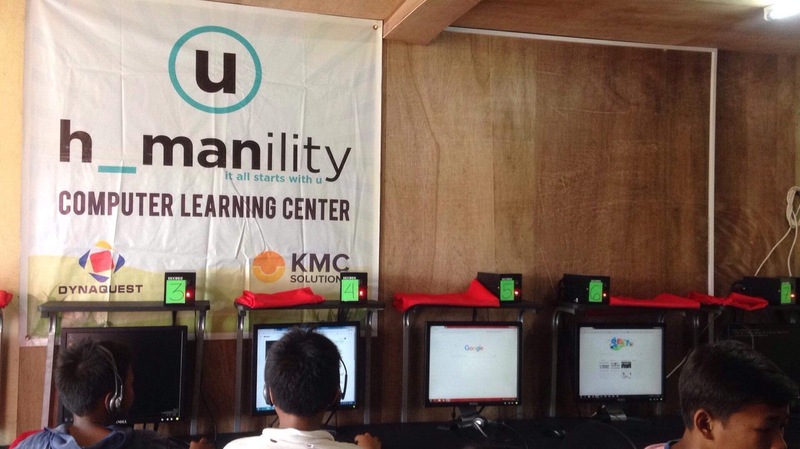 We provided 9 computers for the learning center in Makati, and another 22 units for the learning center at Bogo, Cebu. 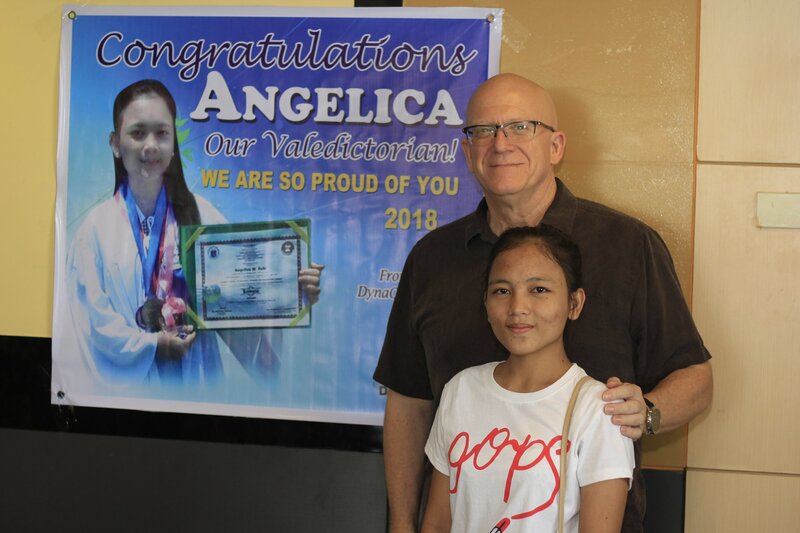 Our efforts with the computer learning center got its reward, when one of our scholars in the Makati Shelter became a class valedictorian, while three boys from the Bogo, Cebu shelter passed their exams with honors that makes them qualified high school students. 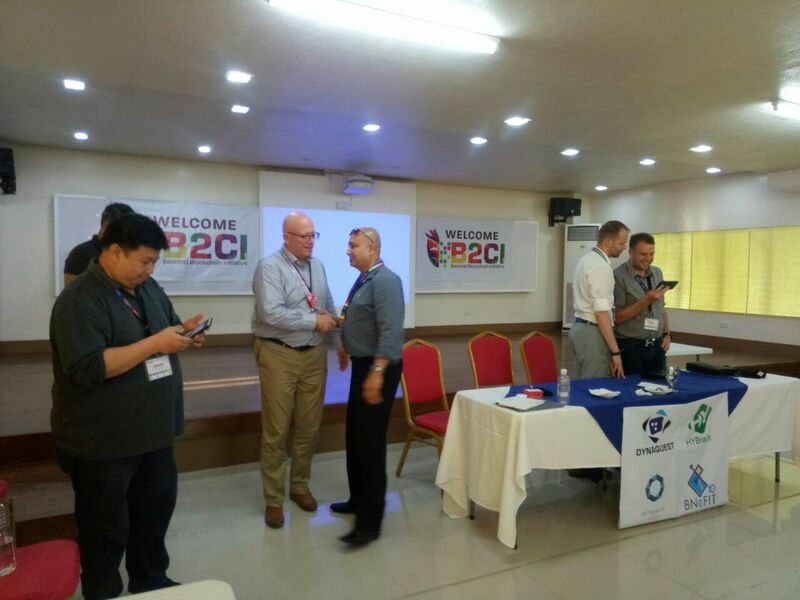 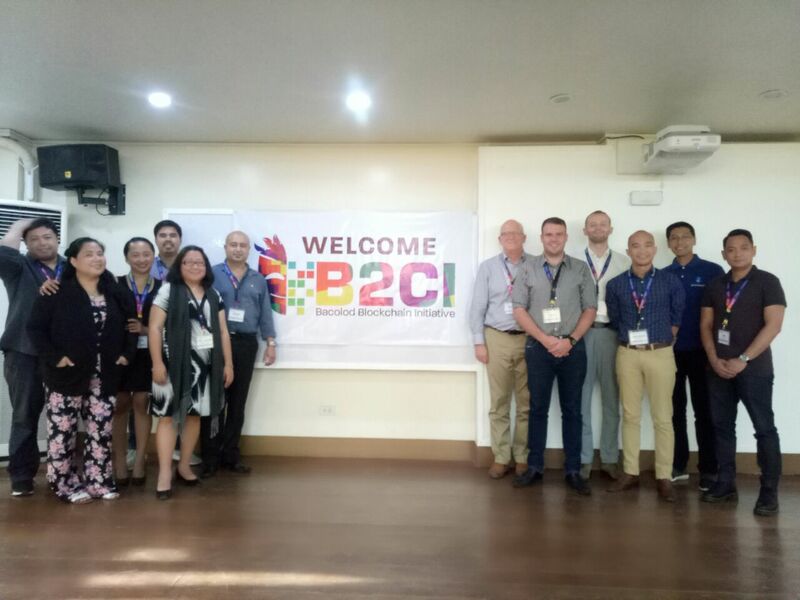 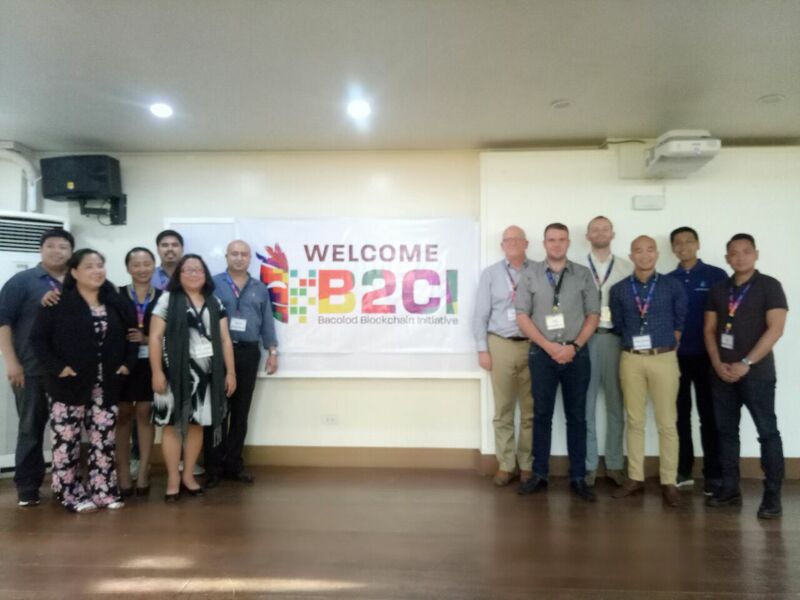 As part of our corporate social responsibility, DynaQuest, together with some key business partners held the Bacolod Blockchain Initiative or B2CI workshop, where we spread awareness about the emergence of Blockchain and related concepts, as well as its importance in the near future on key industries for free. 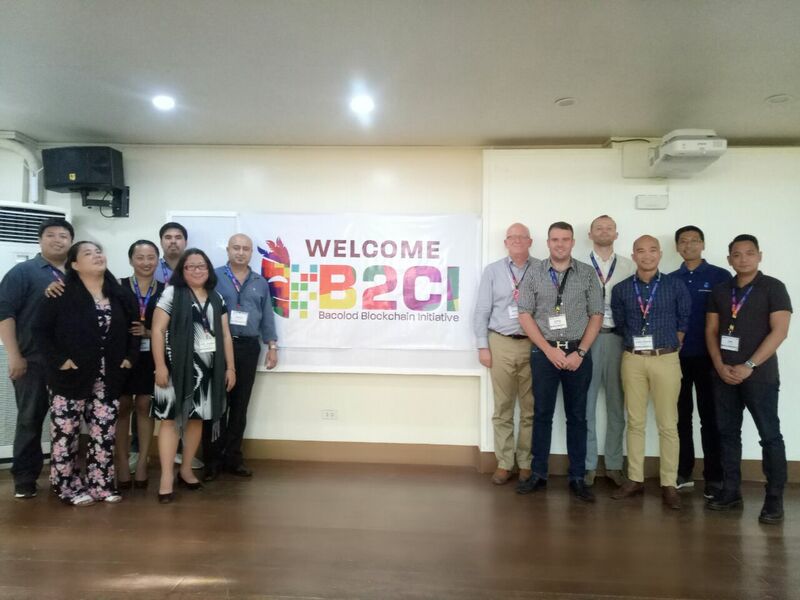 The Bacolod Blockchain Initiative were attended by over 70 members of the academe, Department of Information and Communications Technology leaders, and Bacolod LGUs. 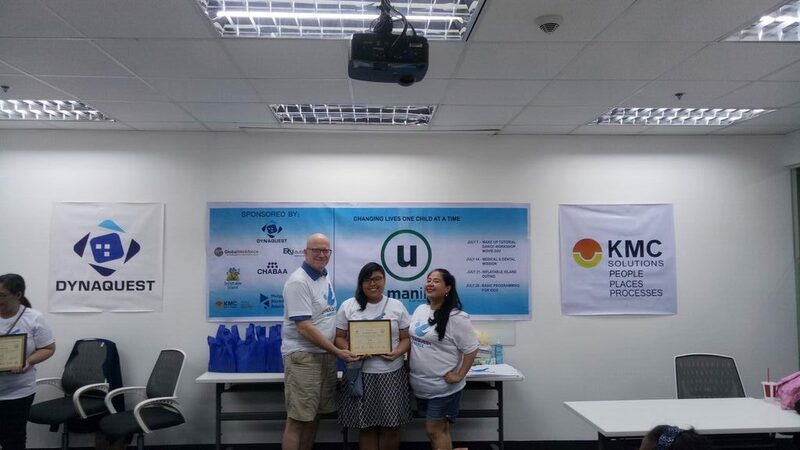 To follow up on our Blockchain initiative, we have decided to sponsor 30 scholars to participate on our Blockchain Accelerator Course, to learn concepts such as Hyperledger, and the integration of Blockchain to various industries. 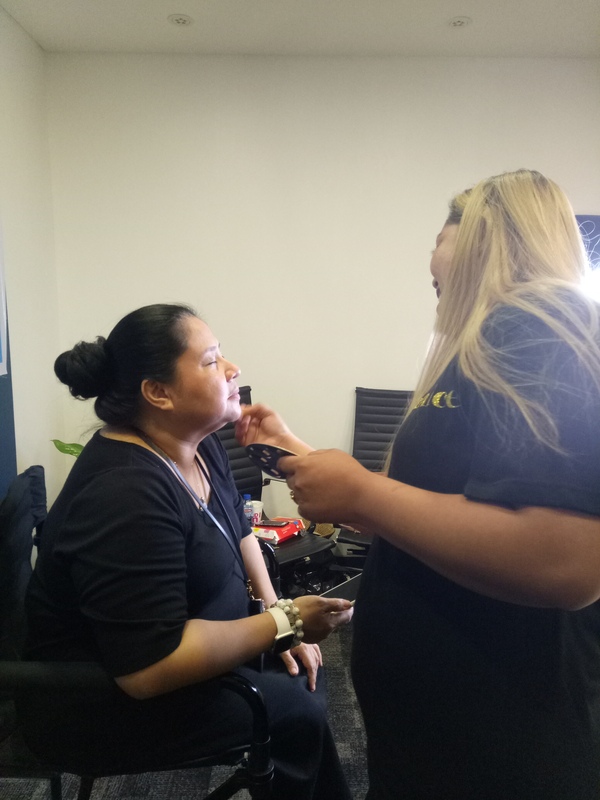 We also conducted a Hair and Makeup Career Workshop for young women and mothers. 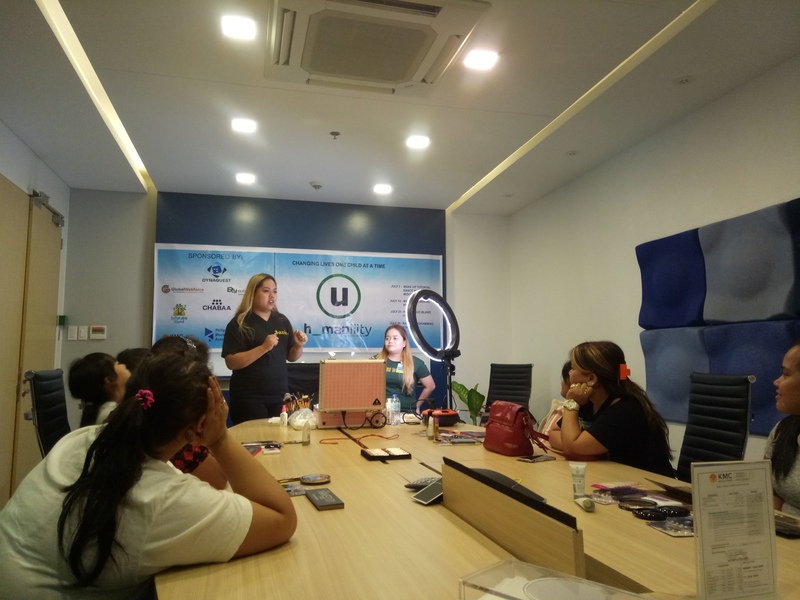 An event solely dedicated to teaching these women acquire new skills, which will aid them in achieving a sustainable livelihood that will help them have a fulfilling and productive lives. 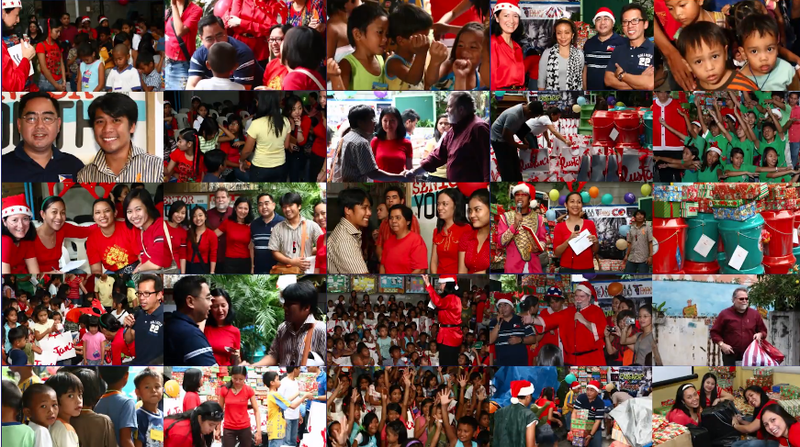 Afterwards, we also held a medical and dental mission to provide holistic medical care to those who need it the most. 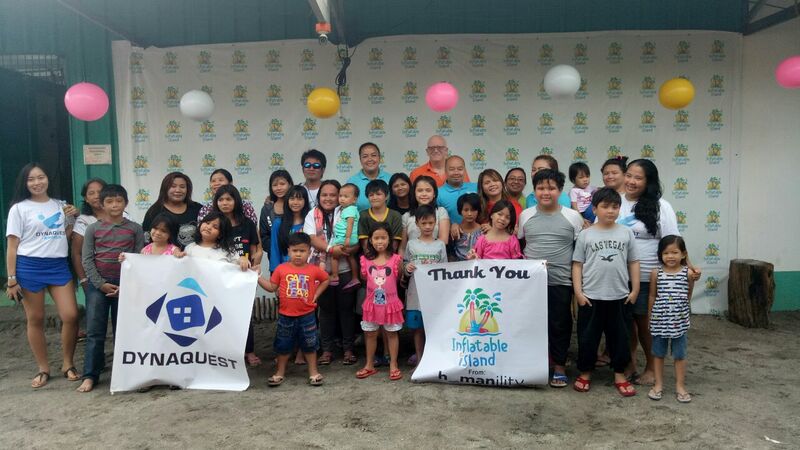 We believe that helping people is not something you just do once, which is why our DynaQuest family makes sure that all our endeavors and all our efforts are towards to providing a sustainable benefit for our community. 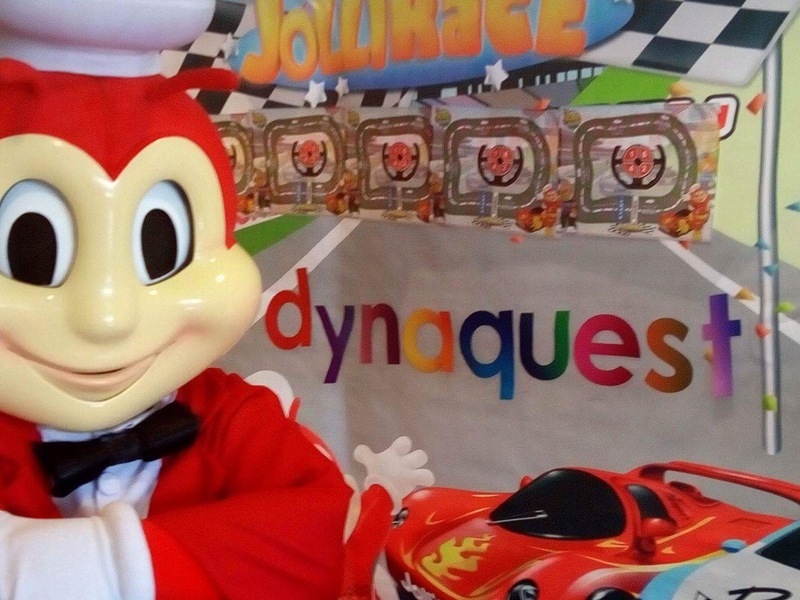 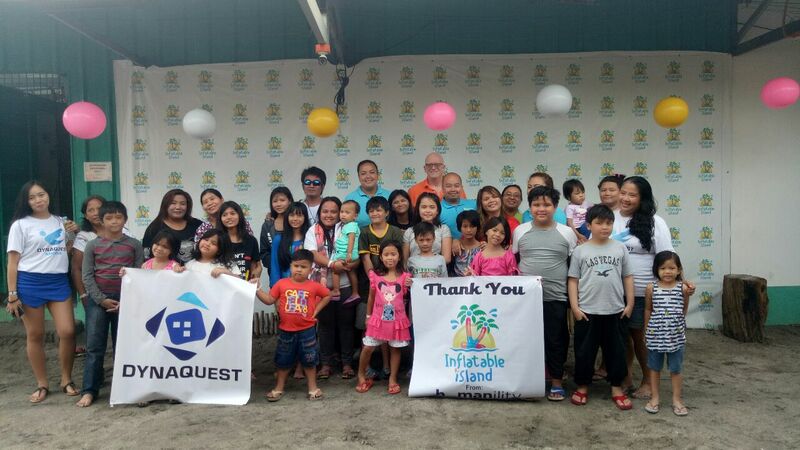 Of course, DynaQuest also sets up fun and exciting activities for the kids. 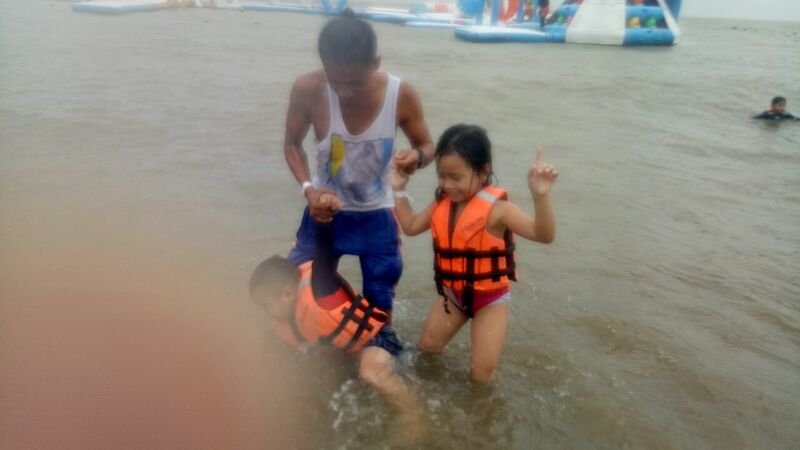 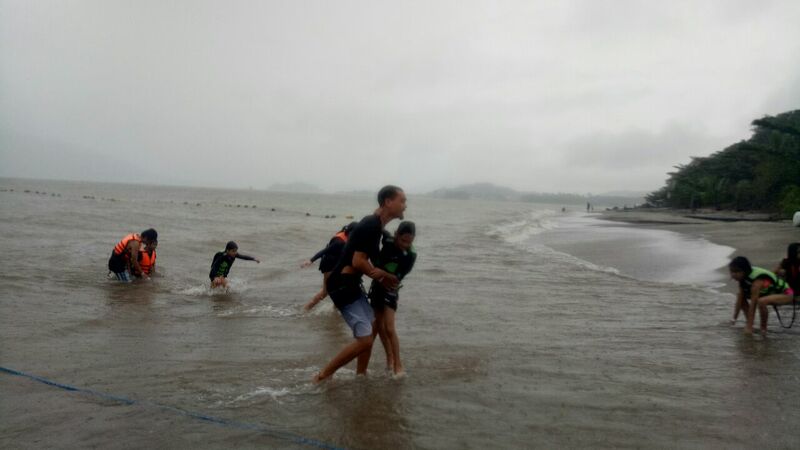 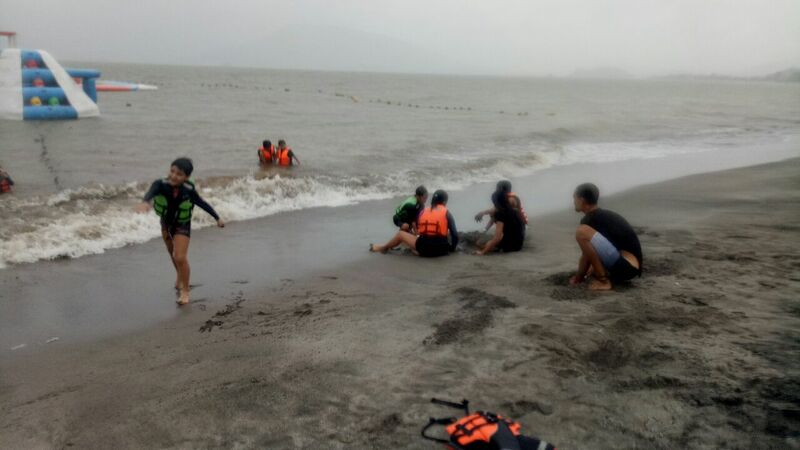 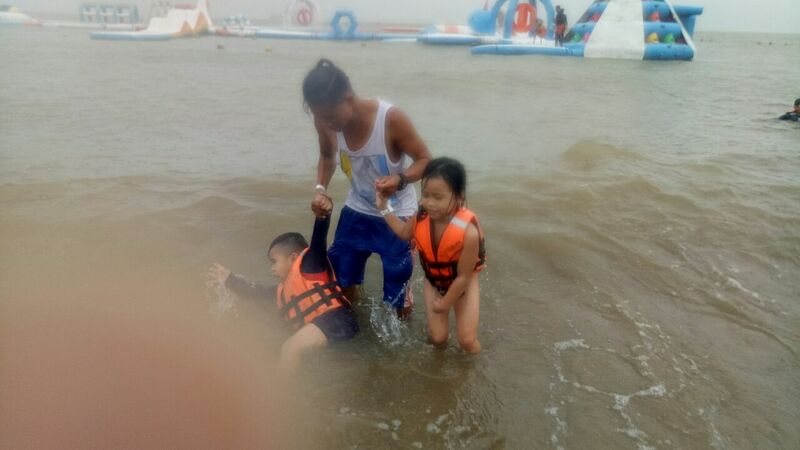 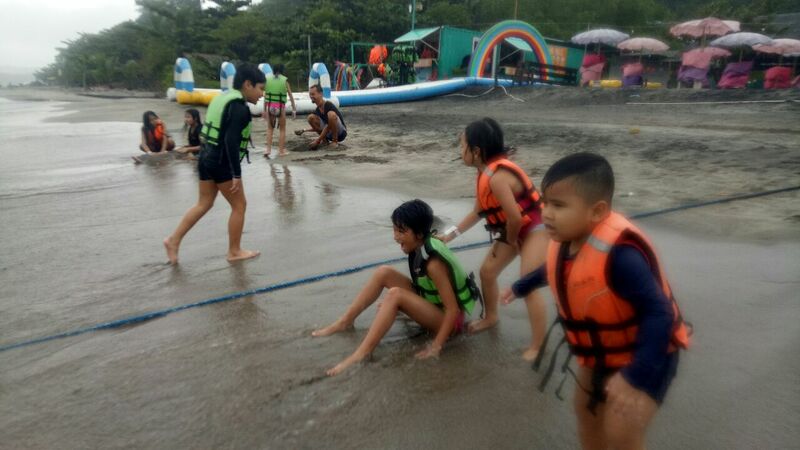 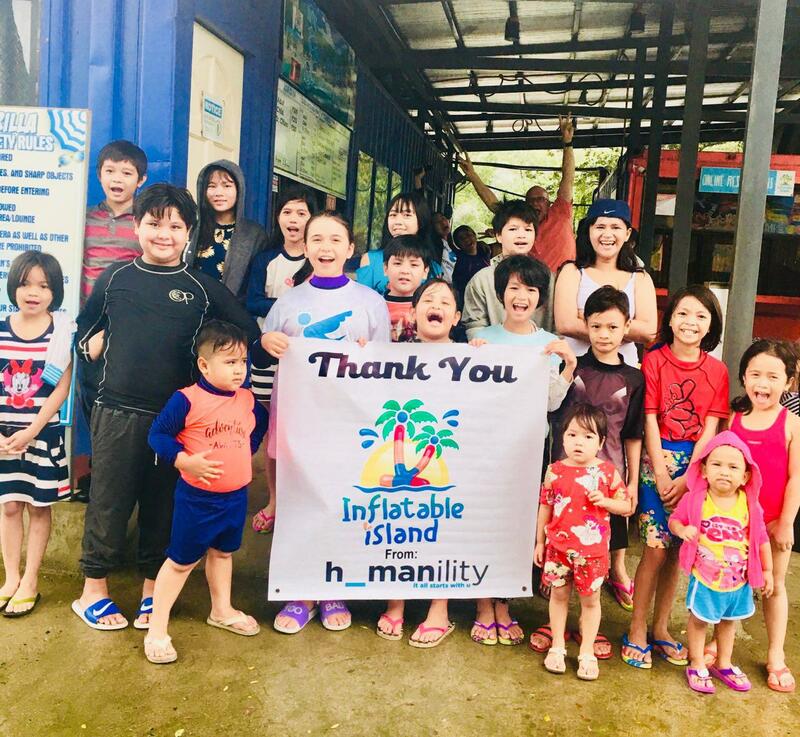 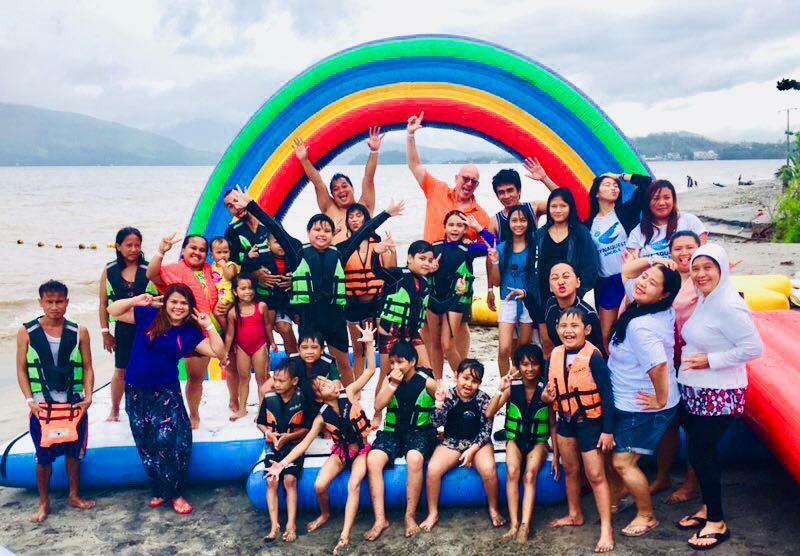 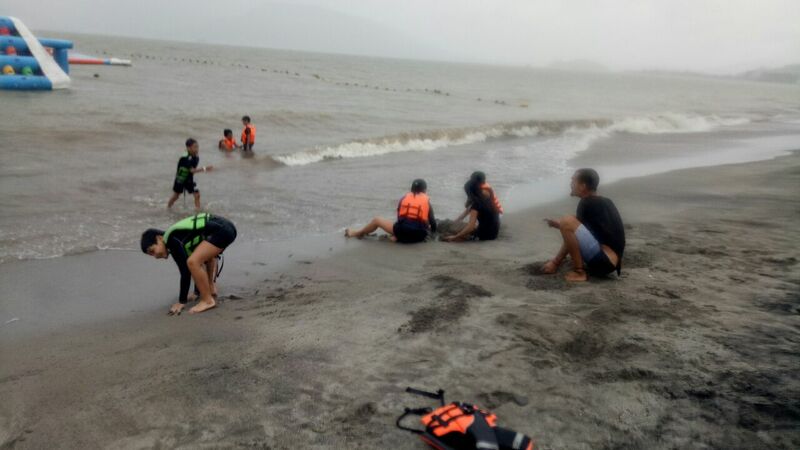 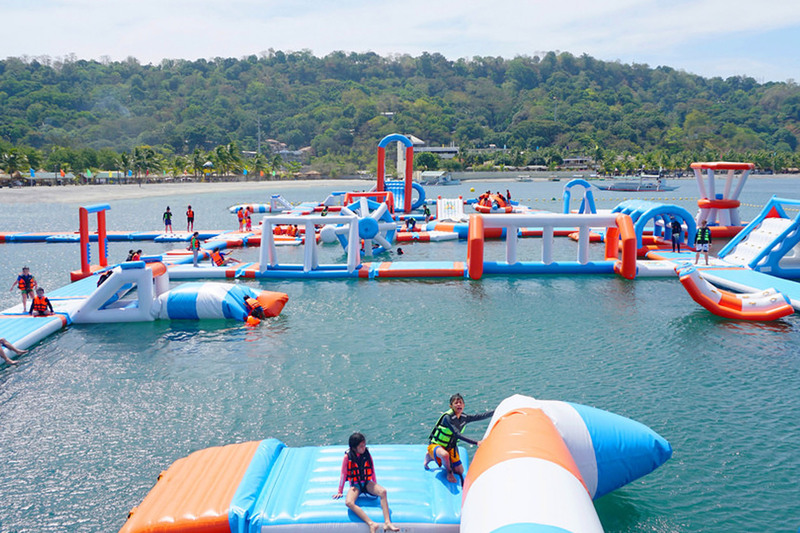 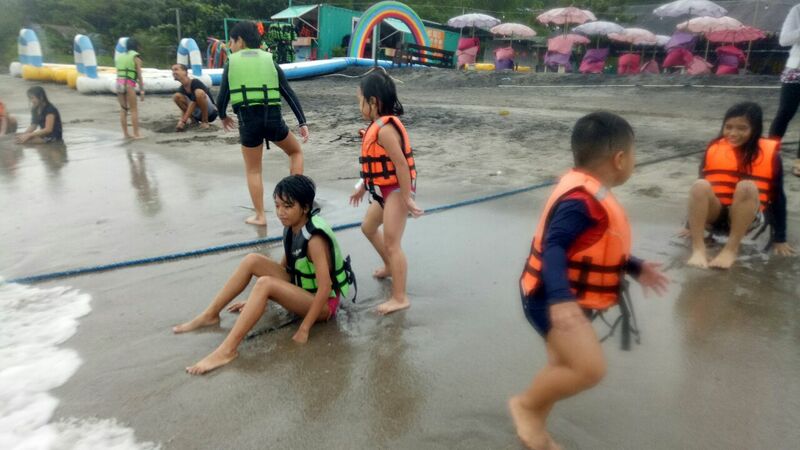 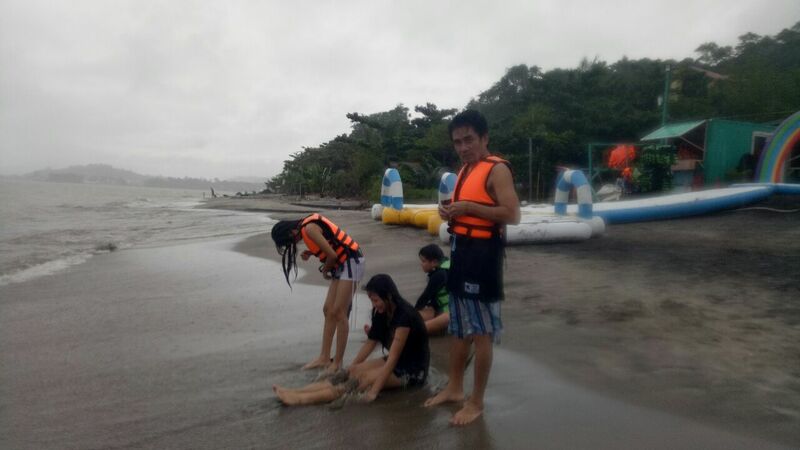 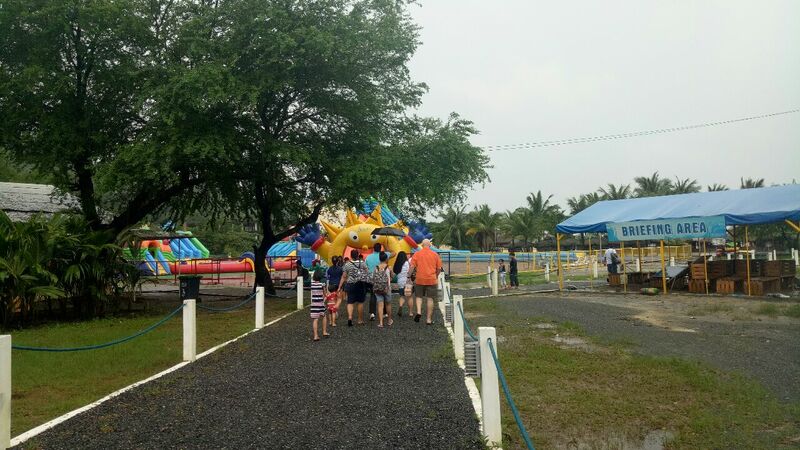 Which is why on August of 2018, the DynaQuest Team and the kids from the Humanility Foundation went to Inflatable Island in Subic for a fun-filled day. 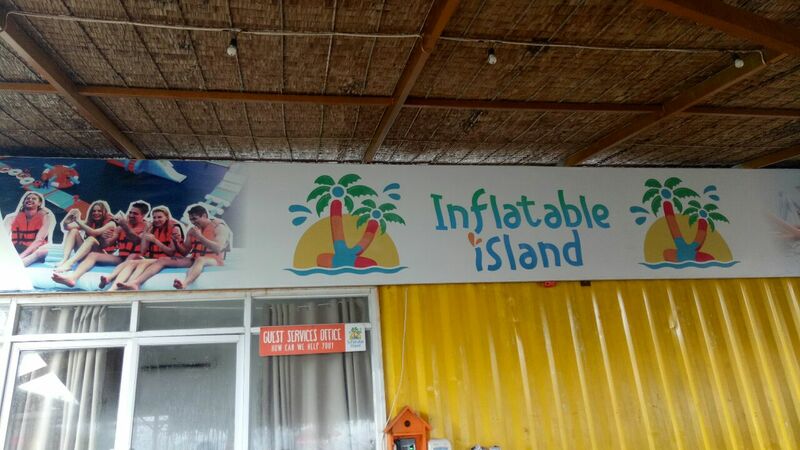 Inflatable Island was one of the top wishes of the kids, which is why we went here to make their dreams come true. 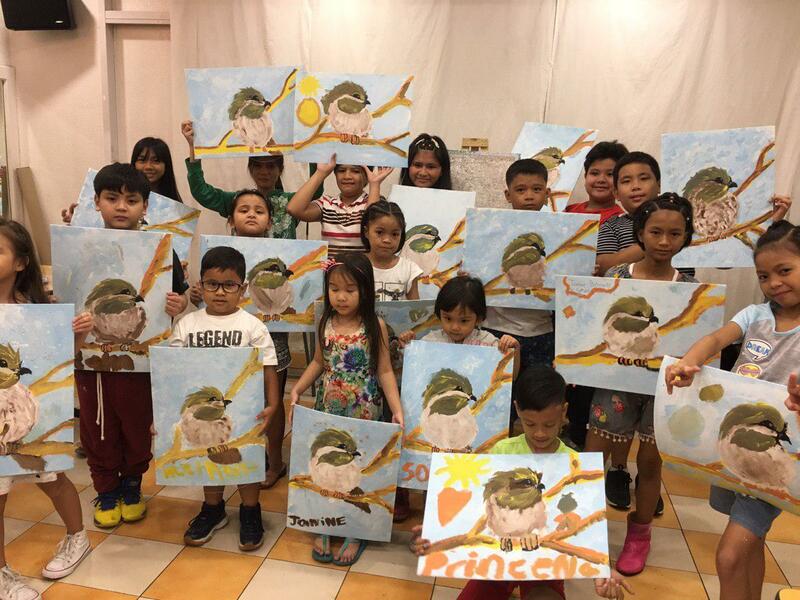 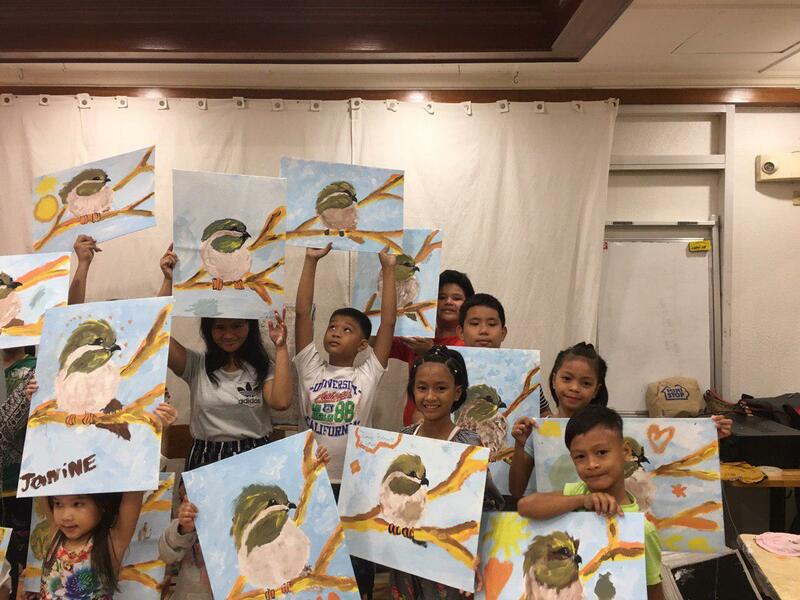 Later in the year, DynaQuest also launched the 2nd Paint My Love Art Workshop for the Humanility Children, wherein we instilled the love for the arts, and allow them to express their creativity via their drawings and paintings. 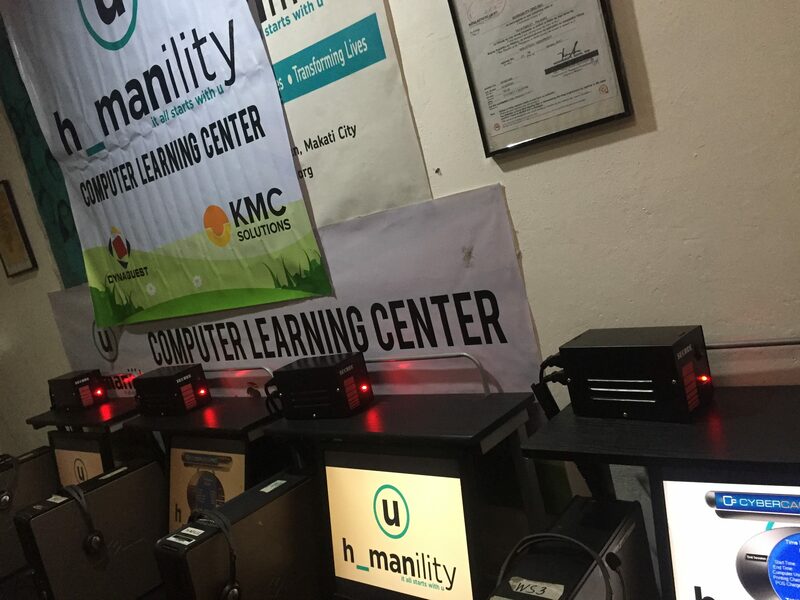 Official turnover of computer learning centers, where we provided 9 computer units to the Humanility Makati shelter, and 22 units to the Bogo, Cebu shelter. 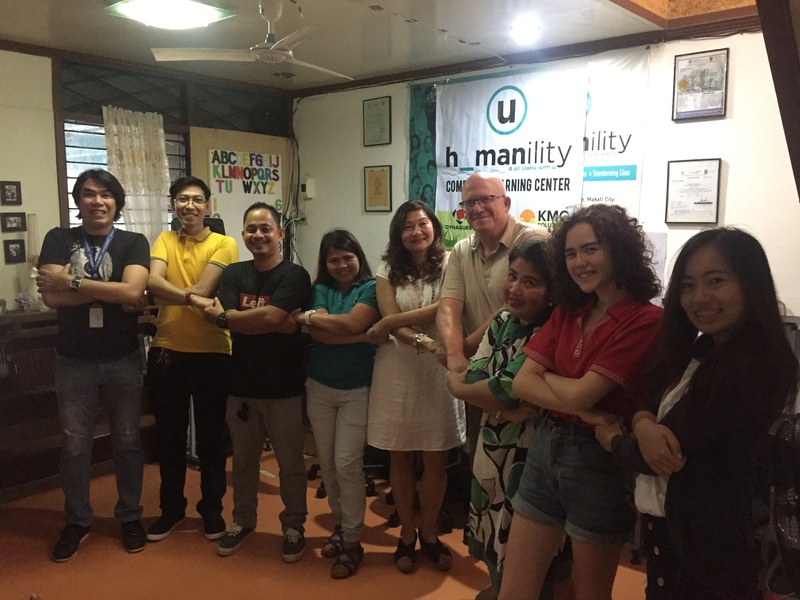 Held a Bacolod Blockchain Initiative in the city about Blockchain and related concepts. 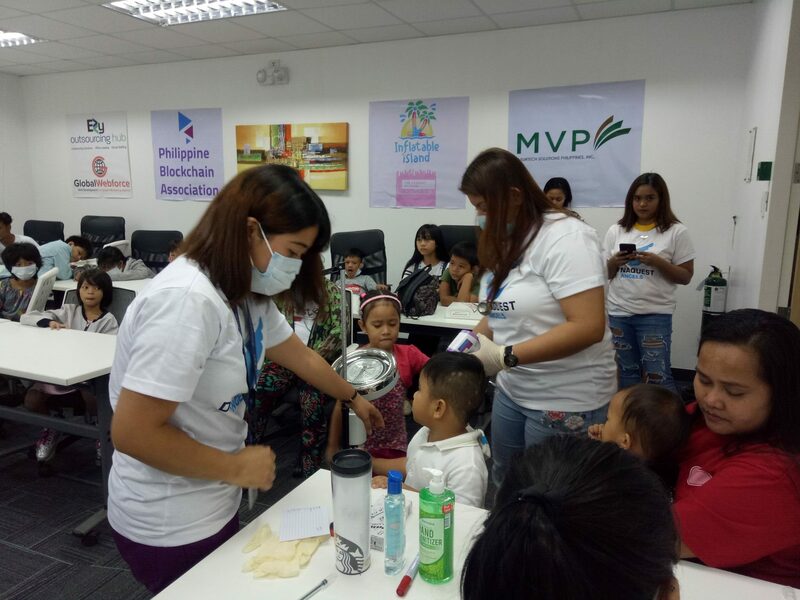 We also sponsored 30 scholars to participate in our Blockchain course. 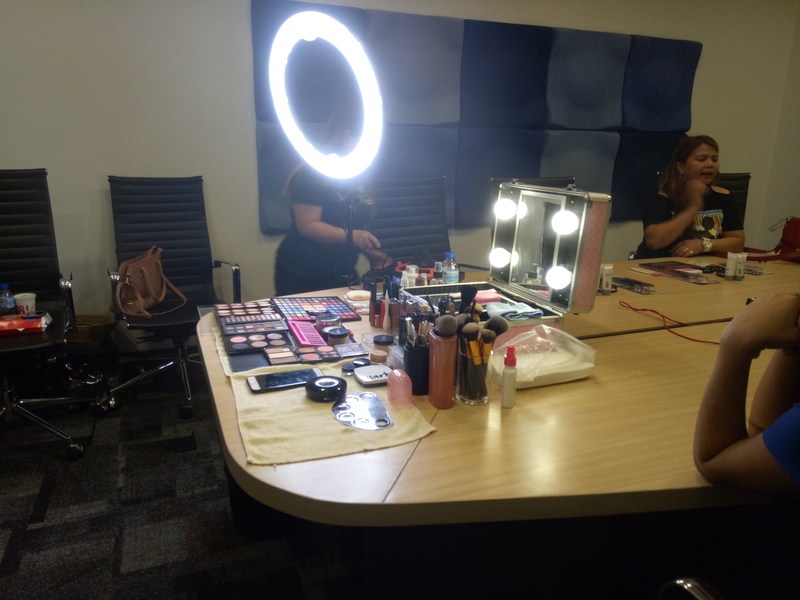 Hair and Makeup Workshop for young women and mothers. 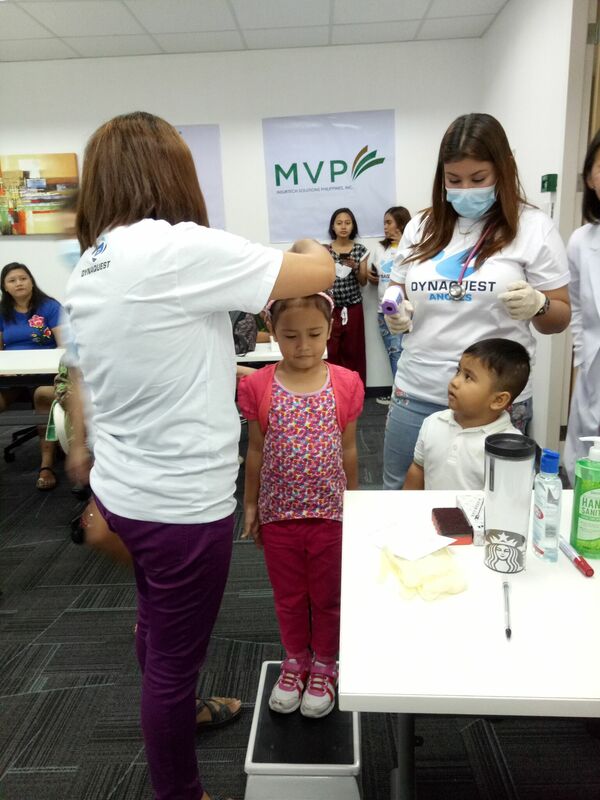 Held a medical and dental mission for free, to provide access to those who needs it the most -our less fortunate communities. 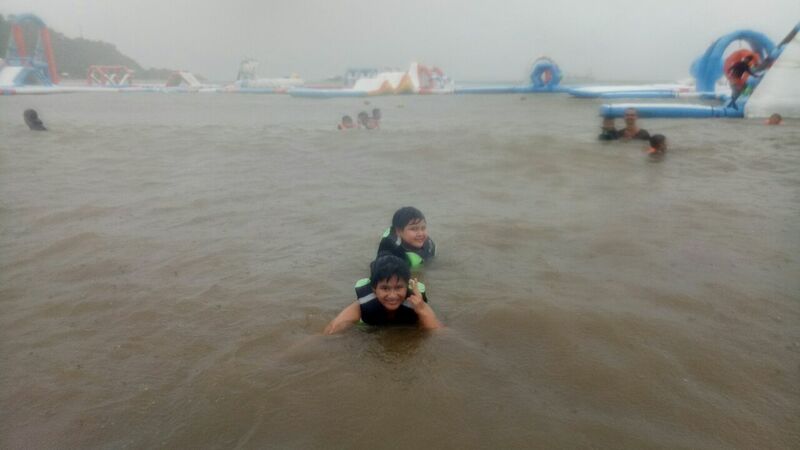 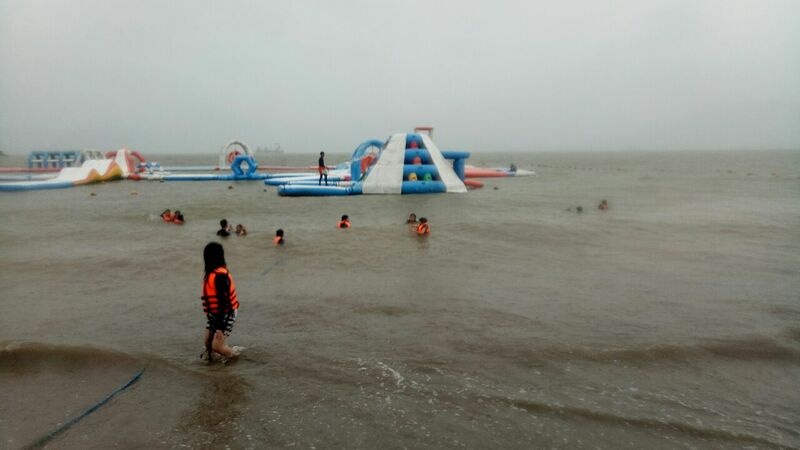 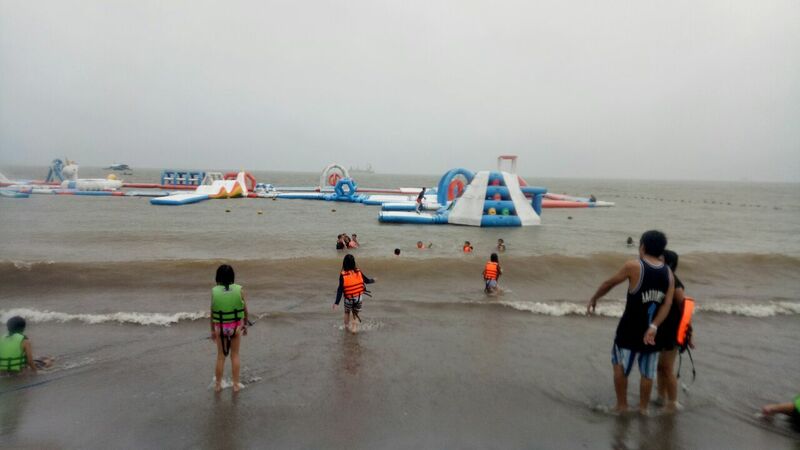 Had a trip to Inflatable Island for a fun day at the beach. 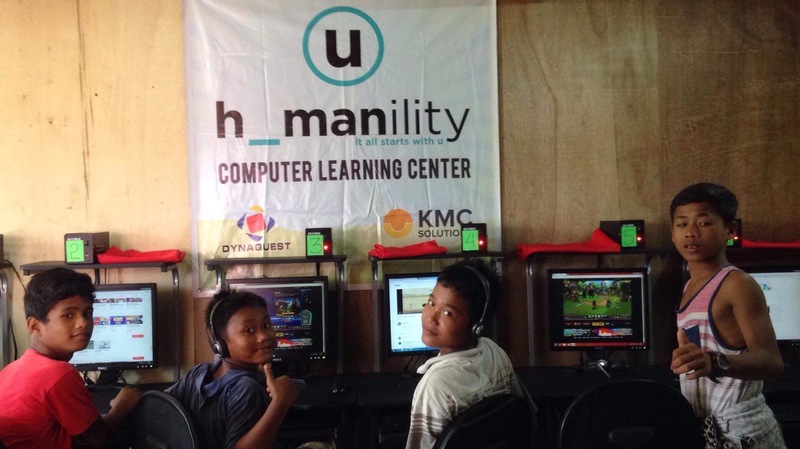 The capstone of our efforts is when we found out that through our computer learning centers, three boys managed to pass their equivalency exams, with honors. 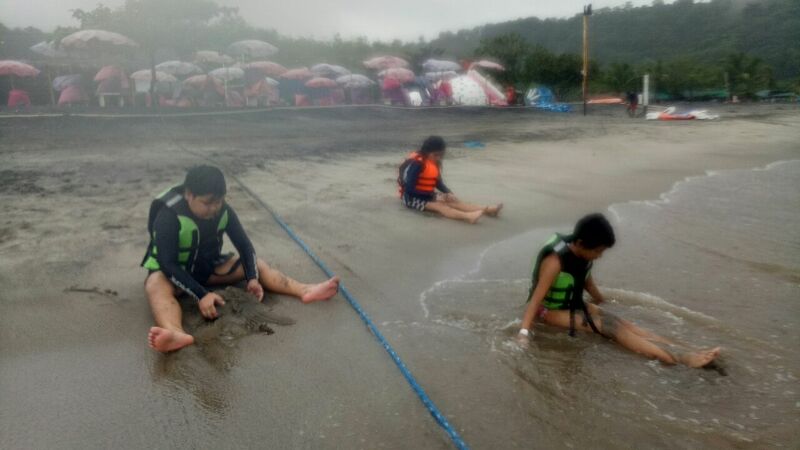 This qualified them to become high school students. 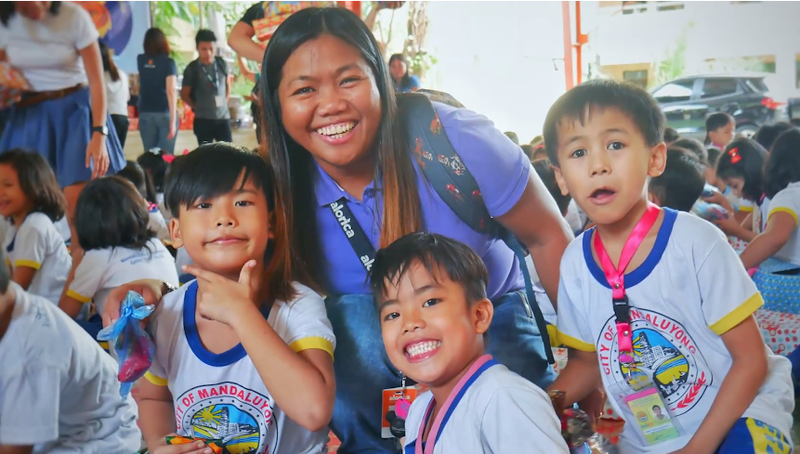 The three boys, who are still on Grade 1 despite being in their teens already, was incessantly bullied by their classmates. 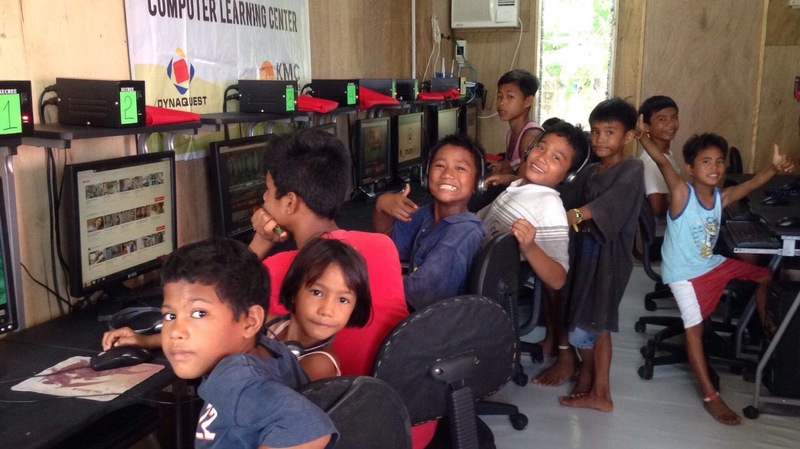 But with the help of the computer learning center, they managed to catch up and study, which resulted to them passing their exam. 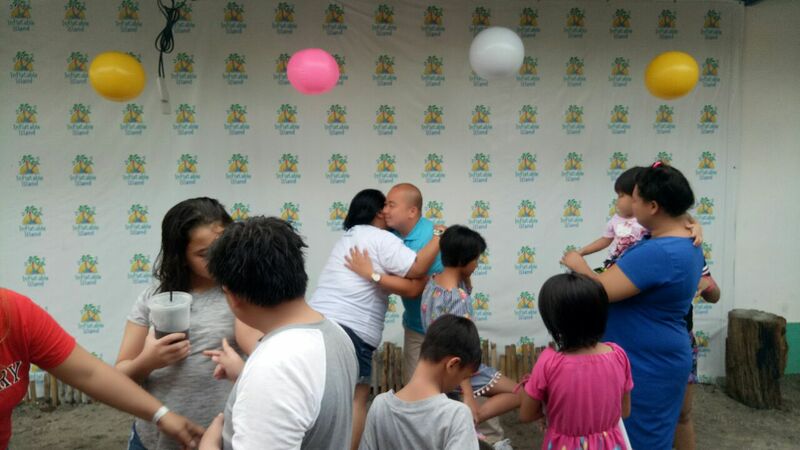 It is in that moment we knew, that all of our efforts were worth it. 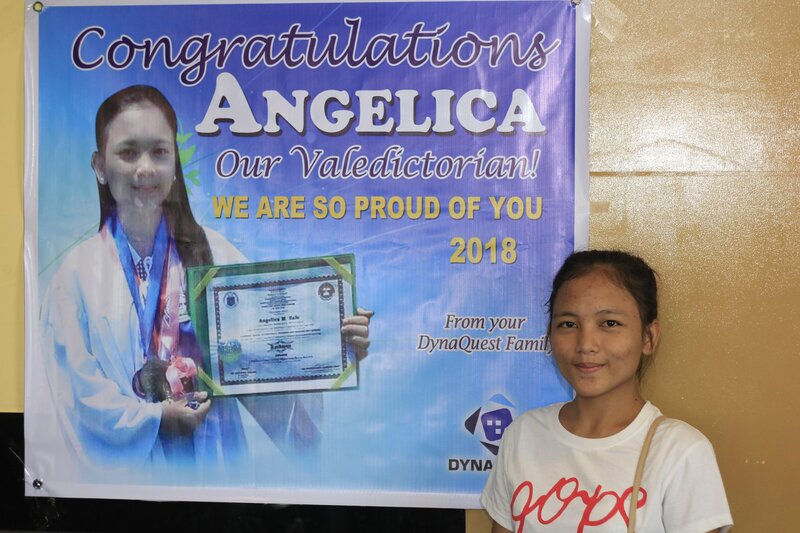 Another act that we are proud of, is when one of DynaQuest's sponsored student in the Humanility Makati Shelter was declared class valedictorian. 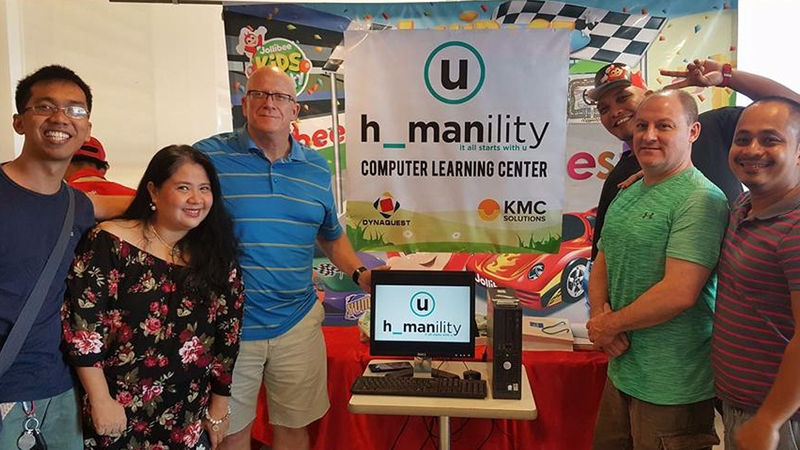 To express how proud we are, we rewarded her with a laptop computer that can she can use for her future studies, as well as to show her classmates that she is worth emulating. 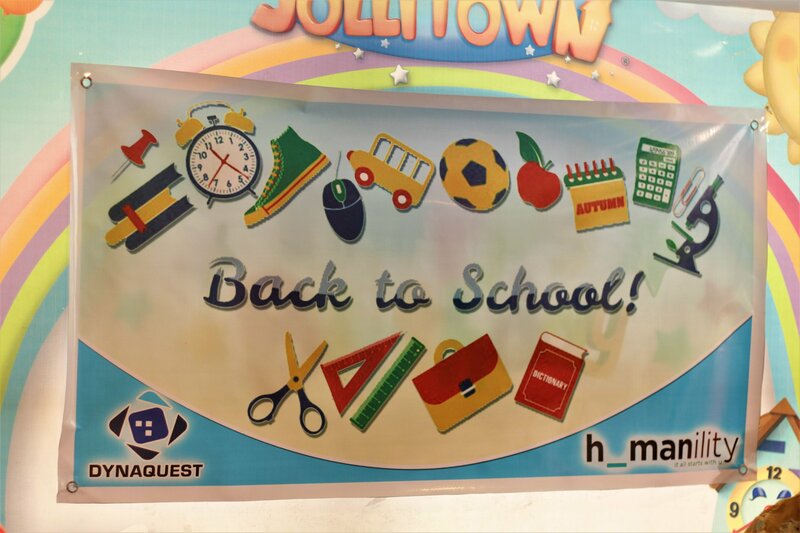 This was also to send a message to other children that studying hard will be rewarded. 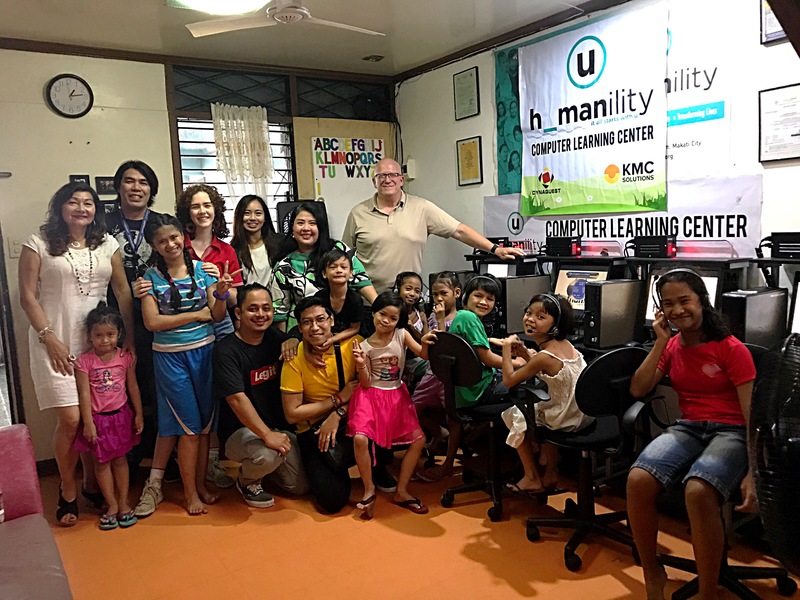 But it doesn’t end there; the DynaQuest family continued to provide constant support to the computer learning centers in both Makati and Bogo, Cebu, through repair and maintenance, as well as shouldering the bills for the internet, air conditioning, and electricity connection that will help kids achieve a better future by providing a conducive place for learning and education. 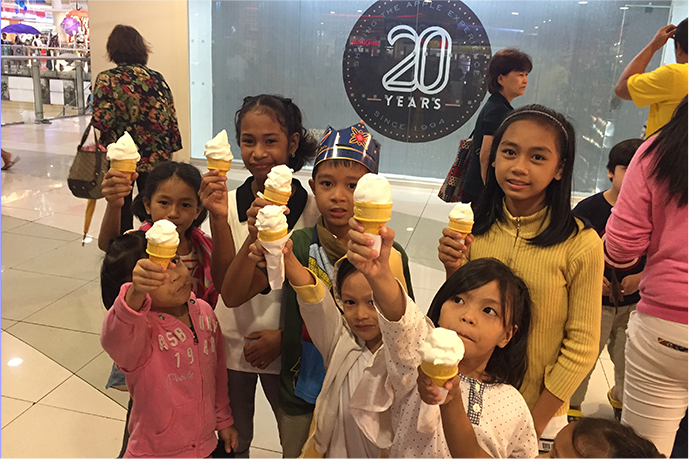 A visit to the Dessert Museum, for a day of fun and sweet treats. 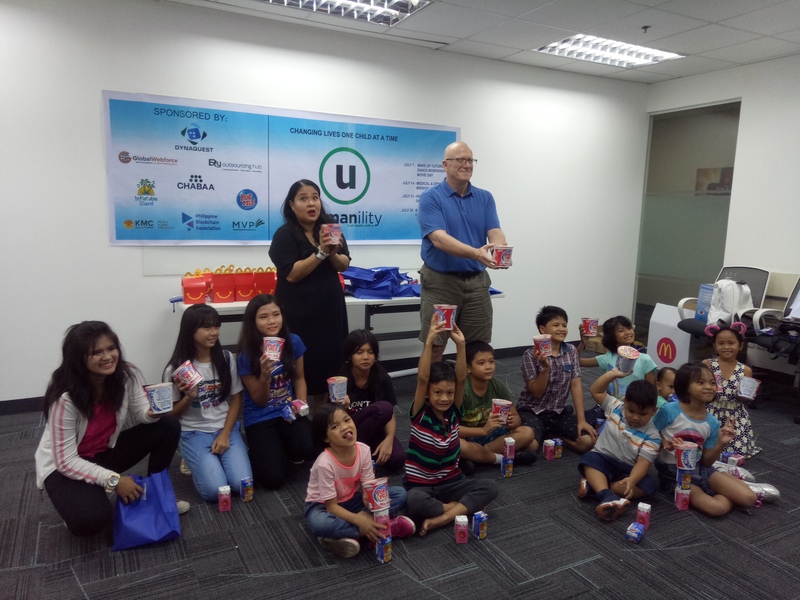 Will also conduct our Basic Programming For Kids - Part 2. 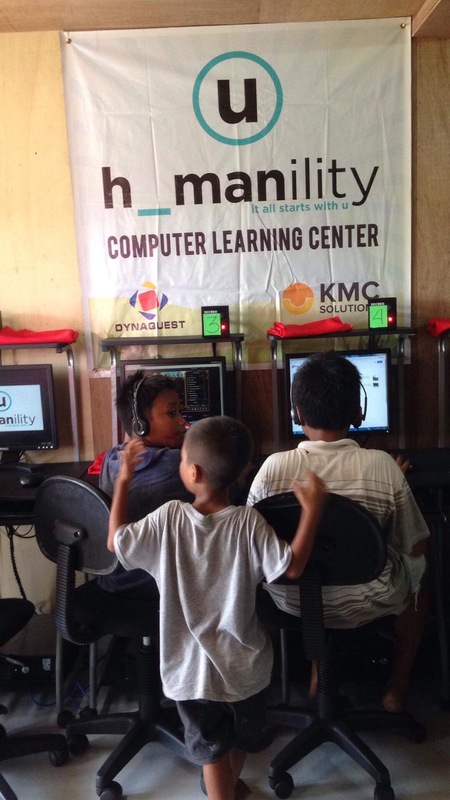 Basic Coding For Kids – Part 1 to help kids discover the joy and importance of coding. 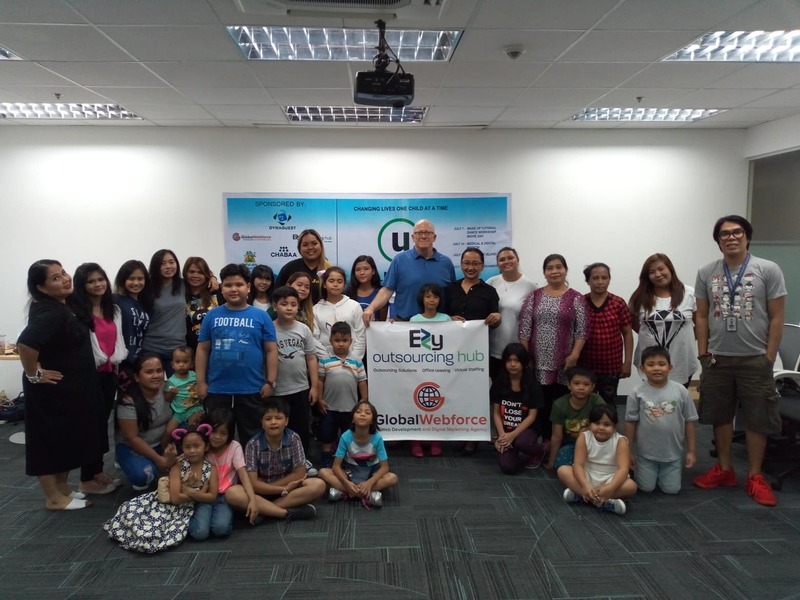 Etiquette de Manille Workshop - Part 1, to help kids learn how to have a proper visual pose, knowing how to dress for the occasion, as well as table etiquette and proper dining manners. 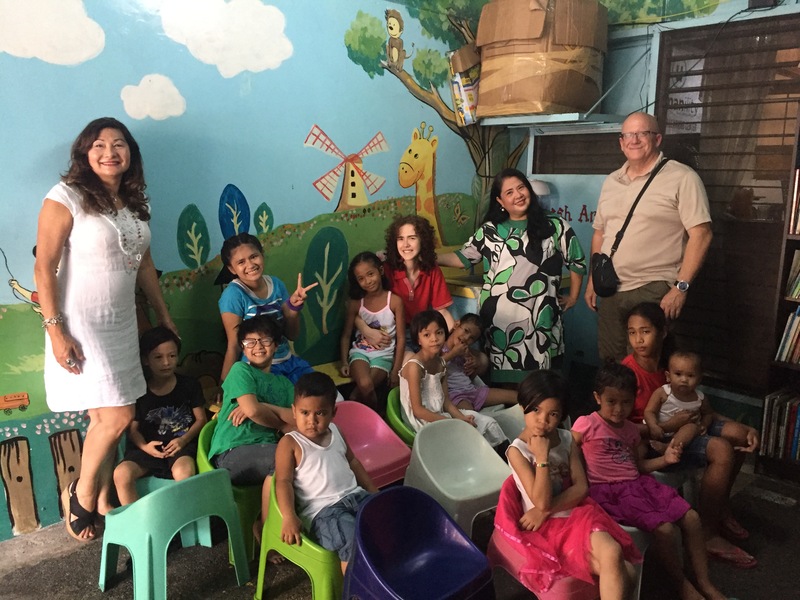 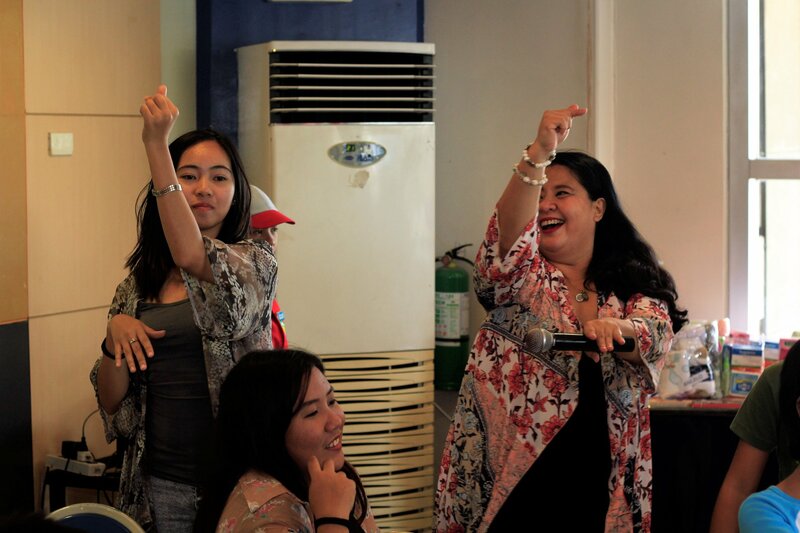 Etiquette de Manille Workshop - Part 2, another set of "proper manners workshop" for children. 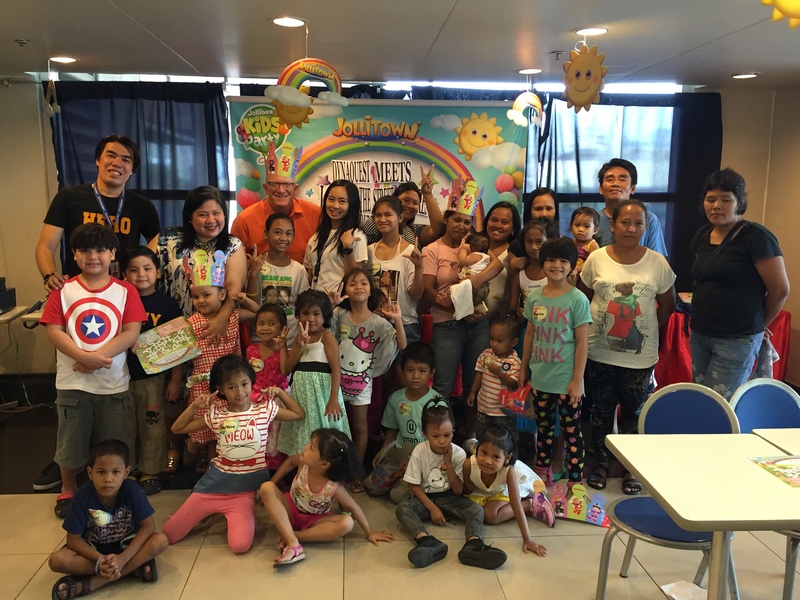 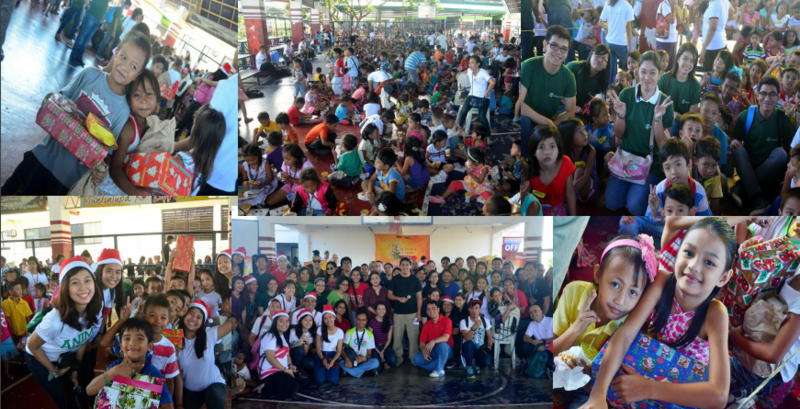 Christmas Party celebration with the Humanility Kids, which will be held in Kidzoona at the Uptown Mall, BGC. 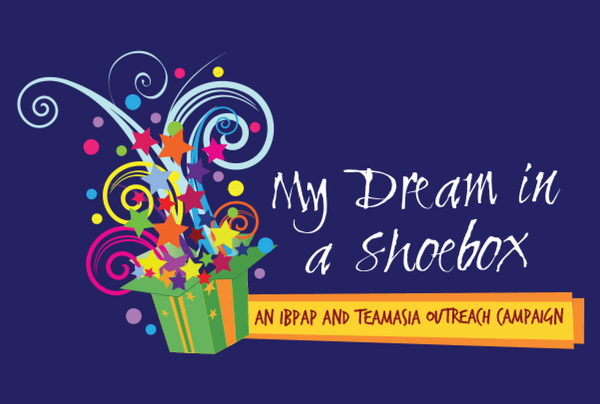 Will also be doing our annual tradition of participating on this year's My Dream in a Shoe Box campaign. 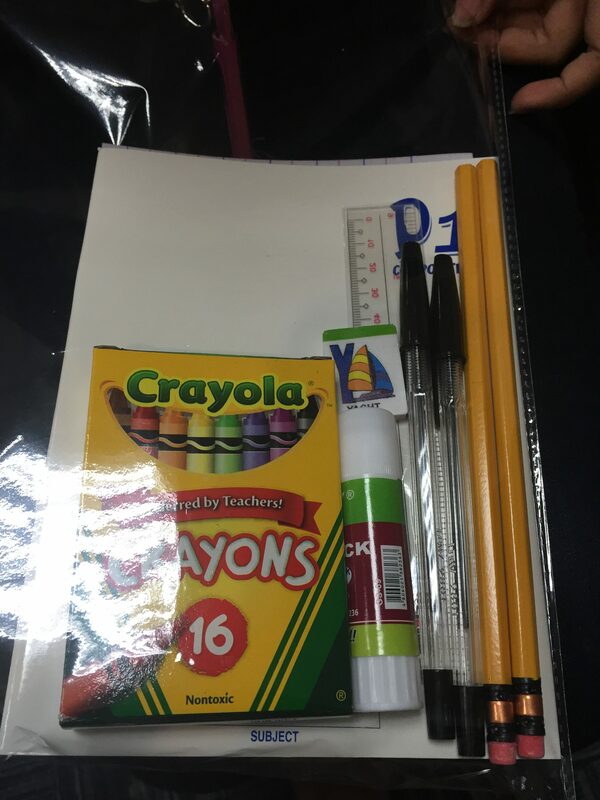 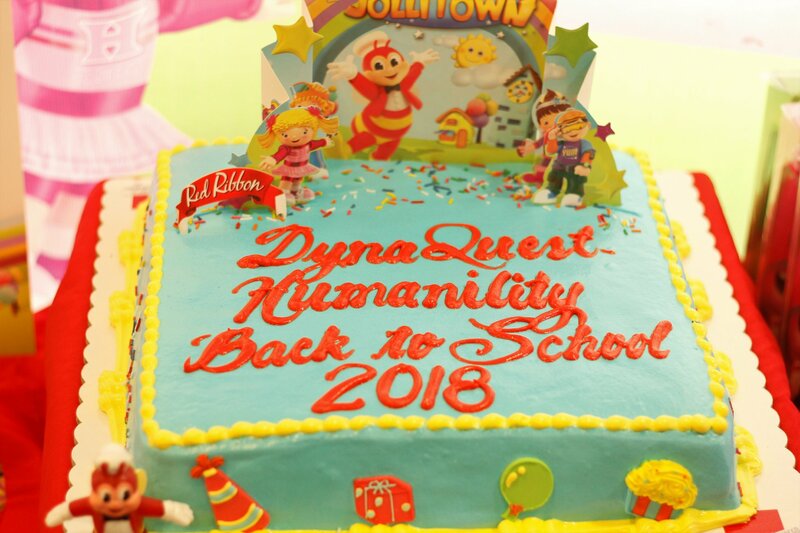 The DynaQuest Family celebrates its Back to School Program, and gave away school supplies, toiletries, hygiene kits, first aid kits, food groceries, and cash donations to the students of the Humanility Makati Shelter. 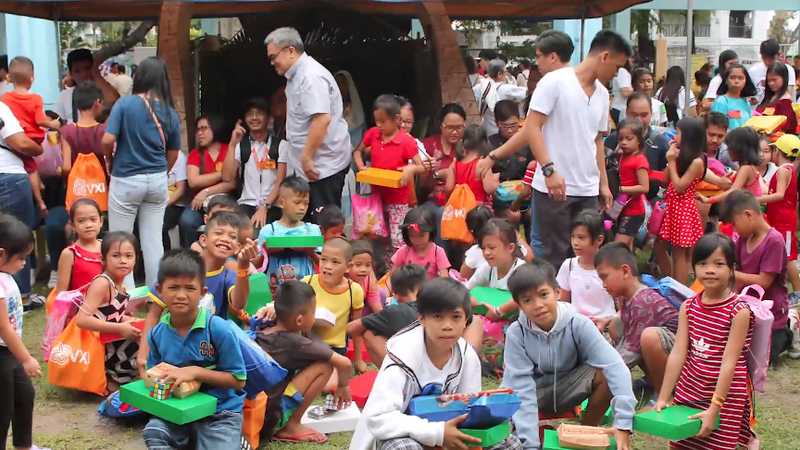 We know going back to school is hard if you don’t have the things you need, which is why we provided black shoes and rubber shoes that the children can use every day when going to class. 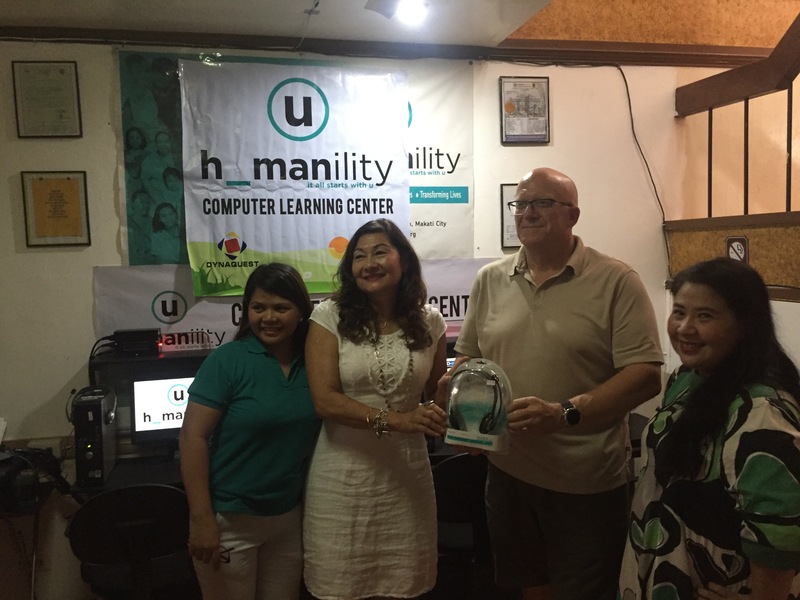 One of the highlights of our activities, is when we had a symbolic turnover of one computer to our learning centers. 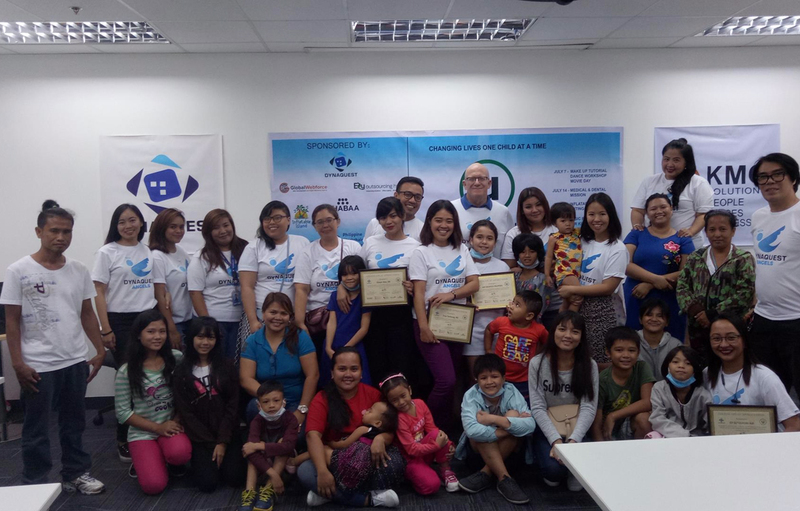 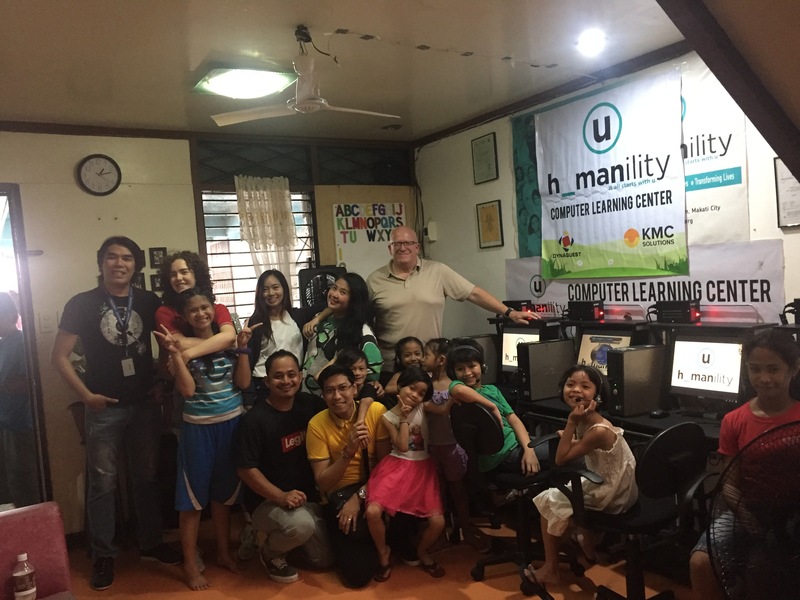 Our aim is to change and improve the lives of the children through computer literacy, and thus it was installed to the Humanility Makati Shelter’s computer learning center. 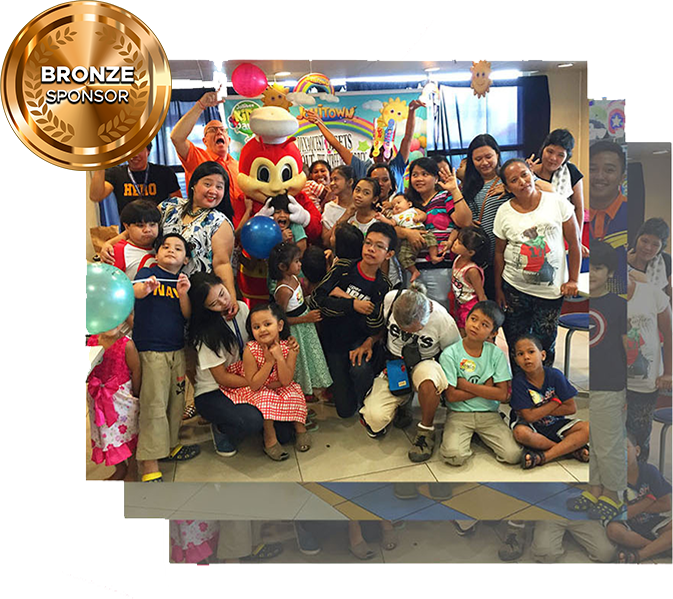 The DynaQuest family ingrains the value of giving, not only to its staff, but to its respective family members as well. 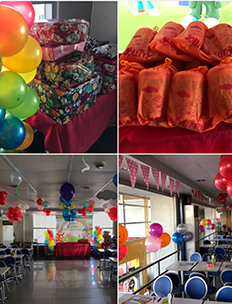 One of the children of our management team decided to celebrate his 9th birthday at the Makati shelter and share his special day. 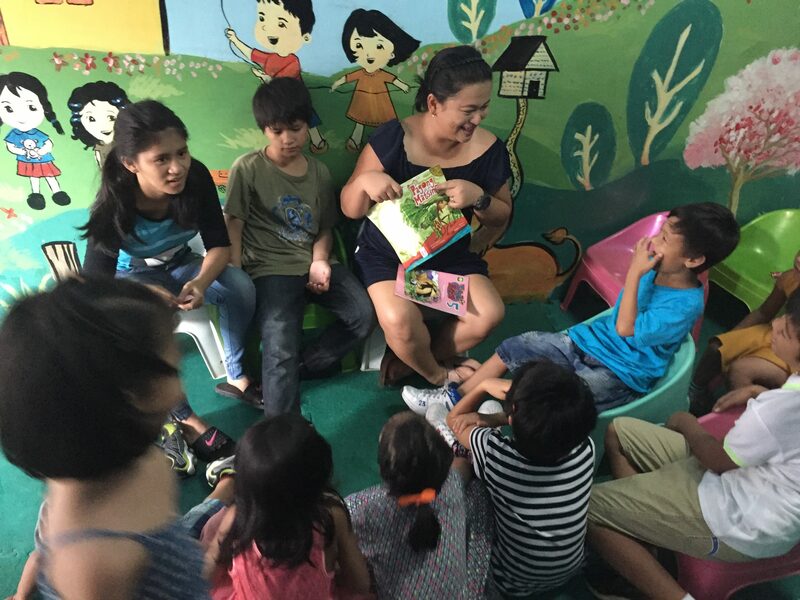 It was a day of fun games, and excitement, which was ended with a storytelling for the kids. 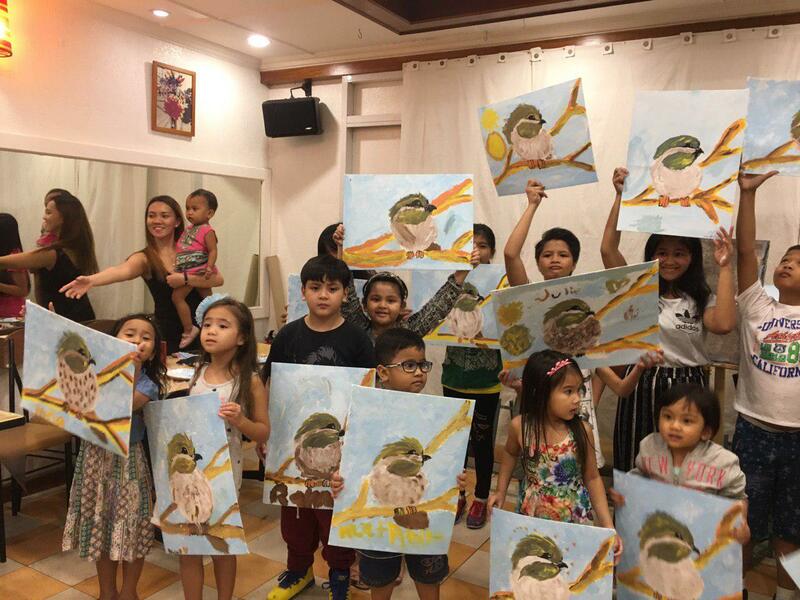 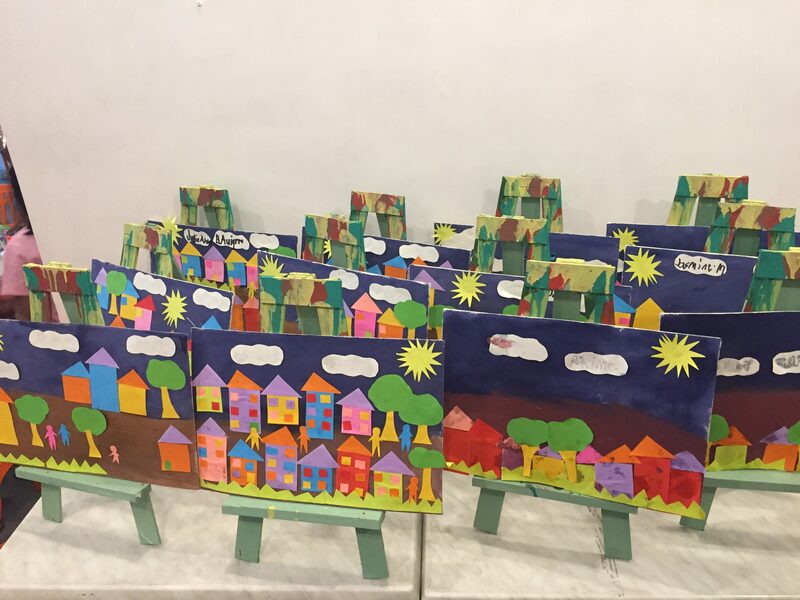 We celebrate the love for the arts, and had a “Paint my Love Art Workshop” with the Humanility Children that will help instill the value of the arts, and encourage the creativity of the kids. 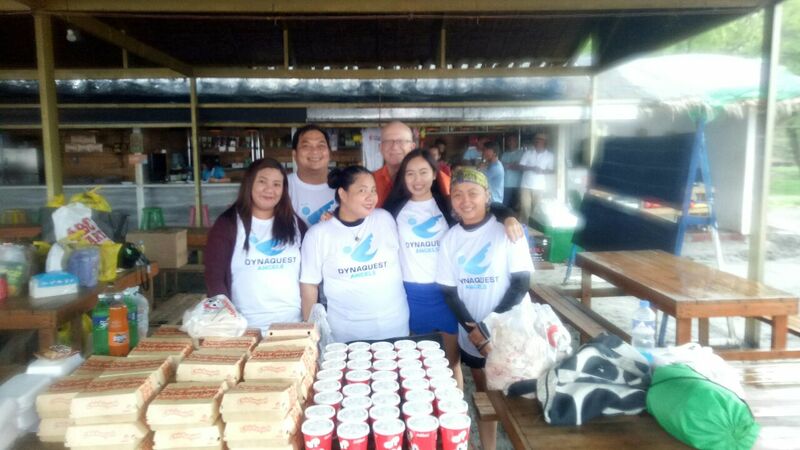 For our Christmas Celebration, the DynaQuest employees and their families, together with the Humanility Makati Shelter street children, also with their families, held our annual Christmas party at the Star City amusement park, where we had a day filled with fun rides and games. 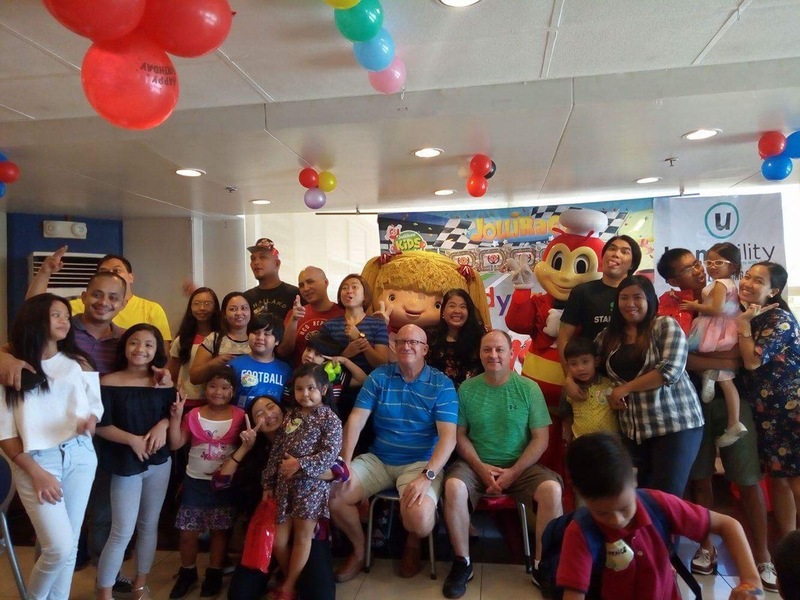 In the same event, we also had our annual “Make a Wish” program where the children are given 3 wishes, with the DynaQuest family granting each. 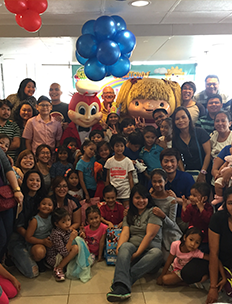 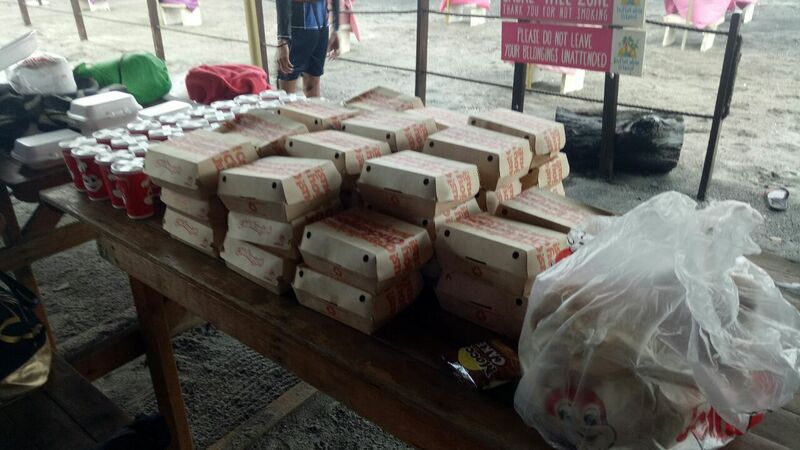 Held a back-to-school activity in Jollibee, with the Humanility Makati Shelter Kids, and had a symbolic turnover of the one computer. 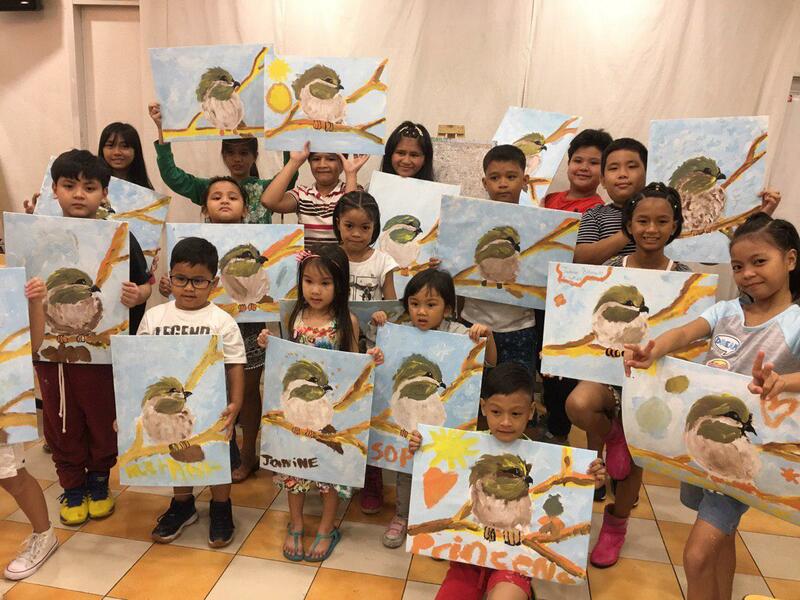 Had an art workshop to encourage and nourish the kids' creativity. 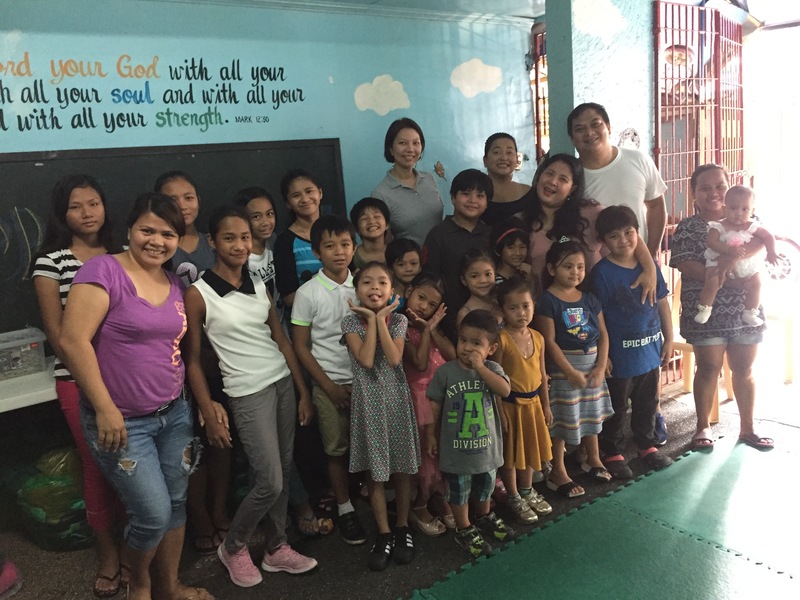 Visited the Bogo, Cebu shelter to know the status of the place, as well as the deficiencies and struggles that the area is facing. 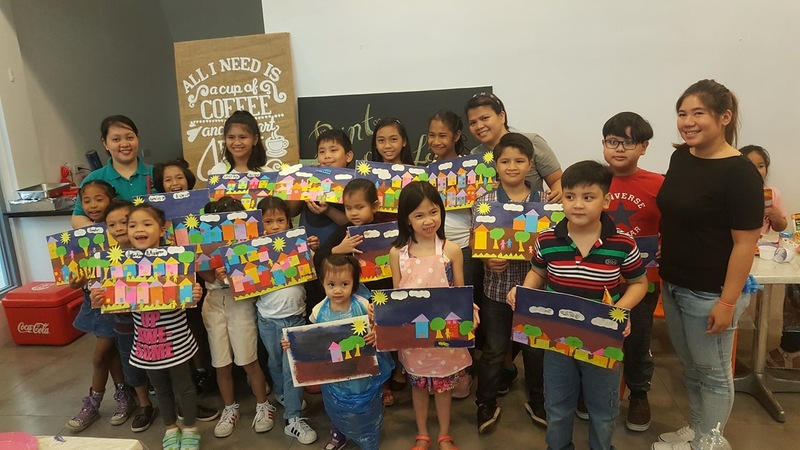 Gathered what they found out, to lay out the plans for its development. 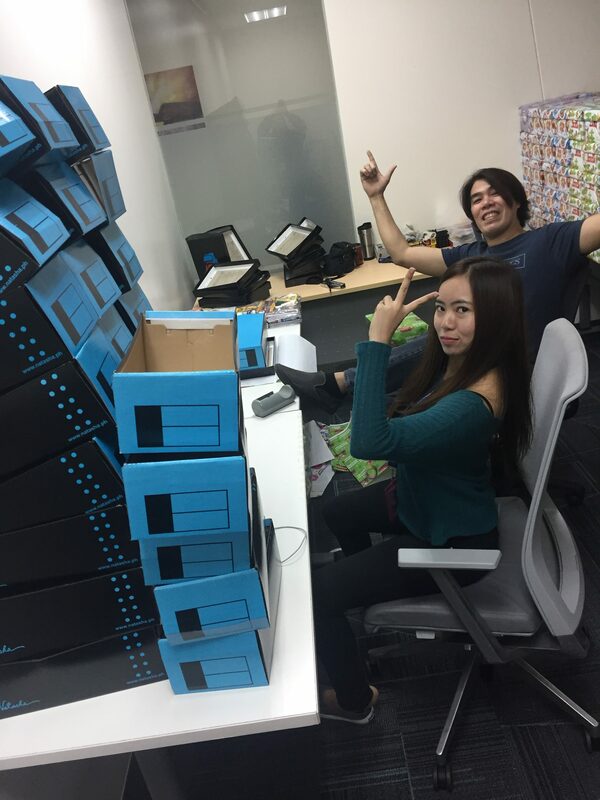 We knew from the start that our goal should not be a one-time thing. 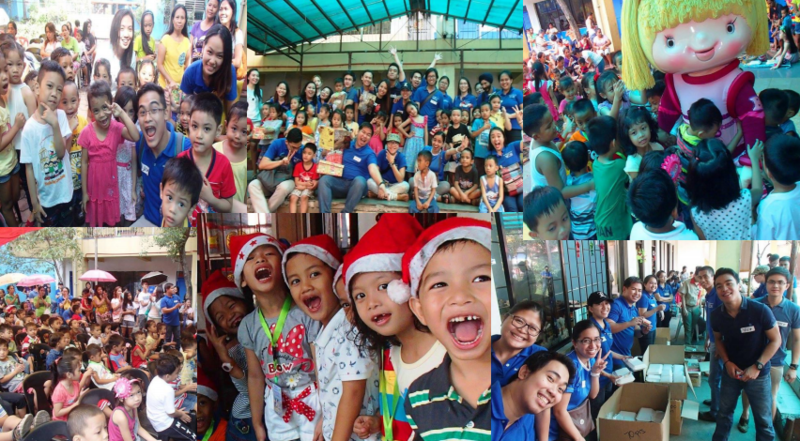 Which is why year in, and year out, we strive to be consistent with our charitable endeavors and keep our annual tradition of helping others. 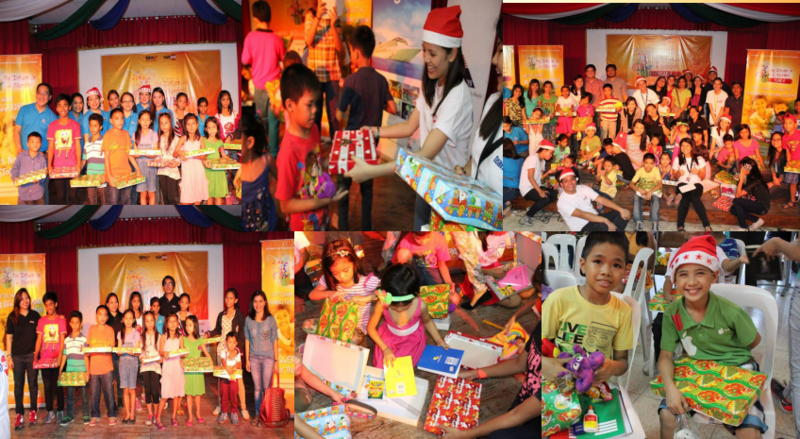 DynaQuest celebrates Christmas with the Humanility Shelter Kids, in collaboration with Party By Jive, who sponsored the event. 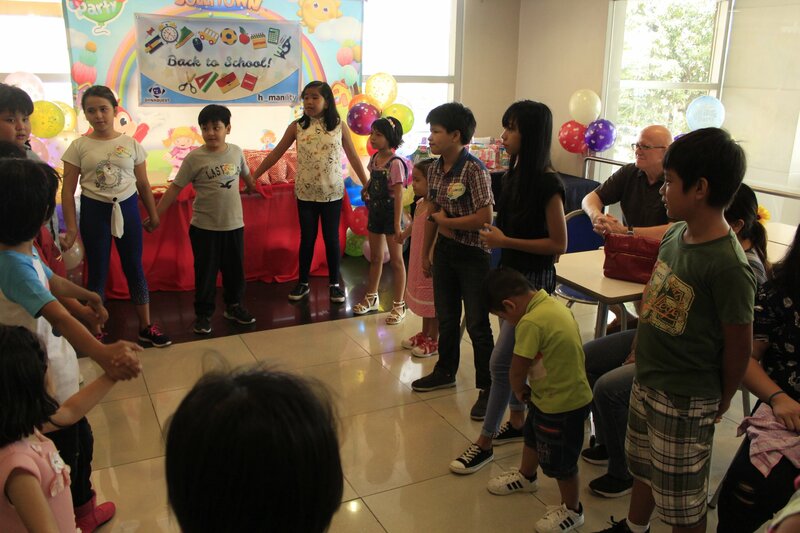 To spread the spririt of giving, we had a “Make a Wish” program where our DQTSI staff granted the a child’s three wishes. 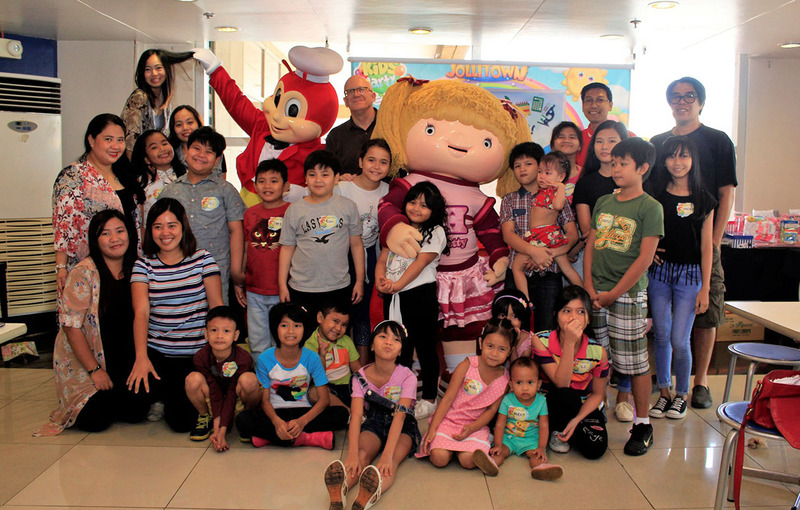 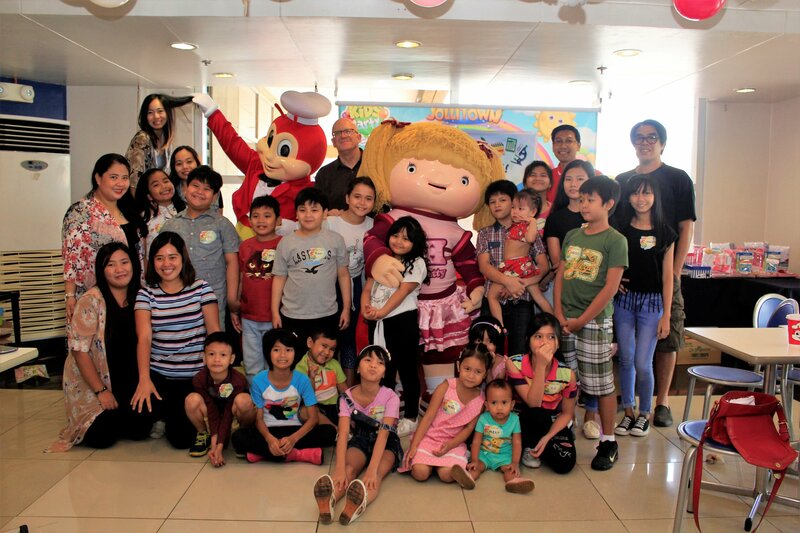 Held a back-to-school activity in Jollibee, with the Humanility Makati Shelter Kids. 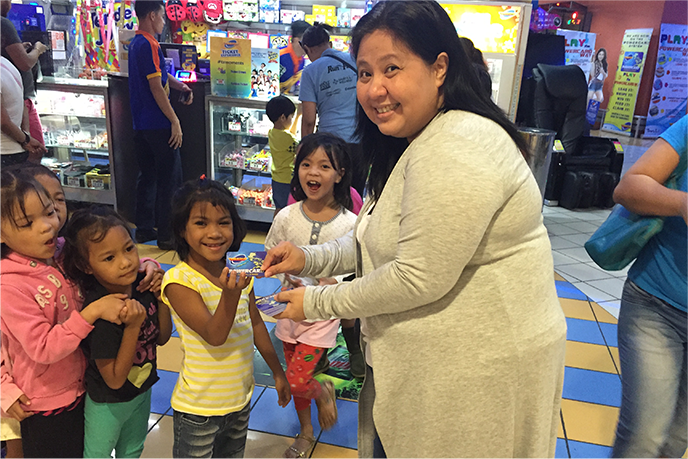 Watched "Finding Dory" at the Cash and Carry Mall. 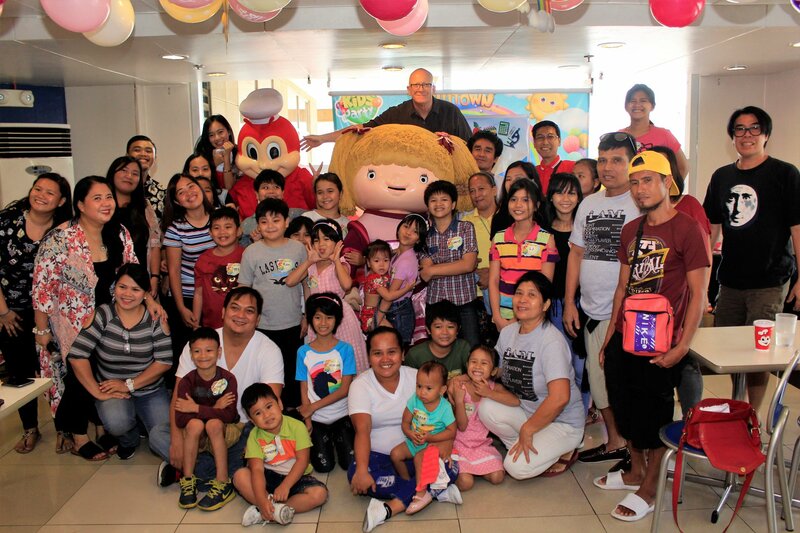 A movie about finding your way home to your family, which DynaQuest and Humanility tries to be for the kids. 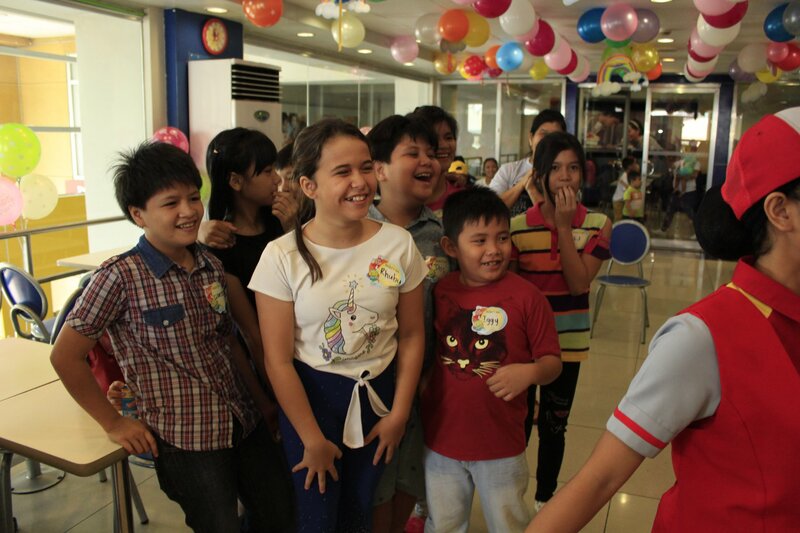 Had an Arcade Day with the Humanility Street Children, which was sponsored by TimeZone. 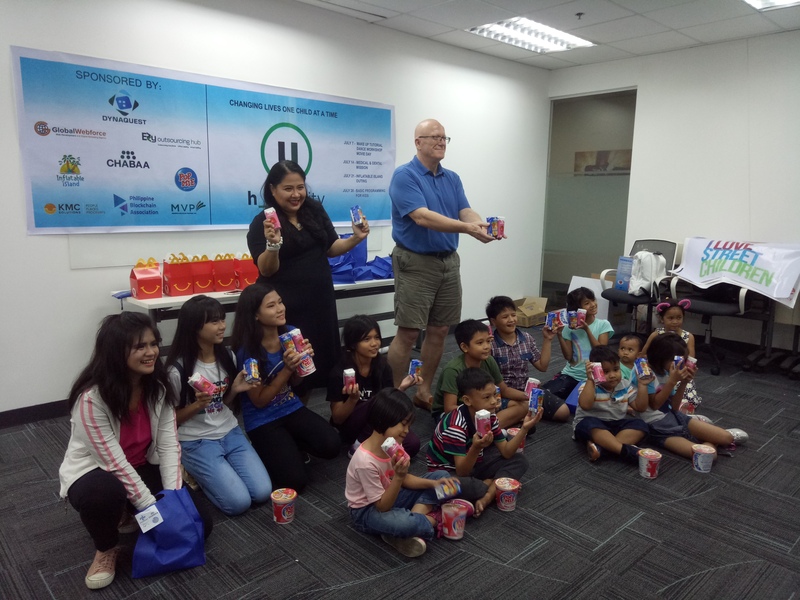 Had an Ice Cream Day with the street children to cap the day. 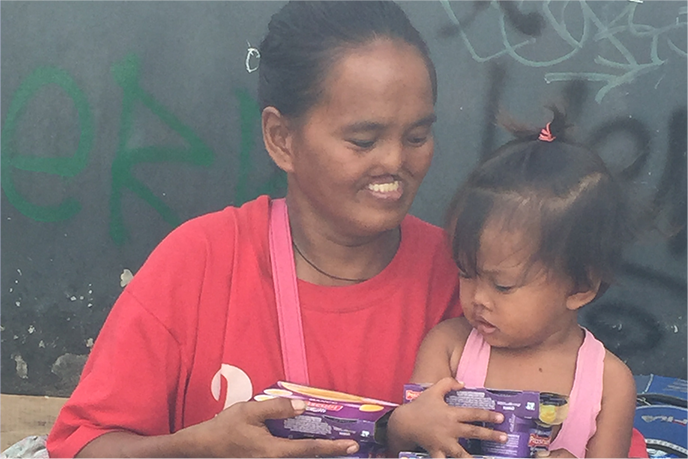 Distributed boxes of yogurt to Duterte’s Kitchen, Humanility Shelter, and to various street dwellers. 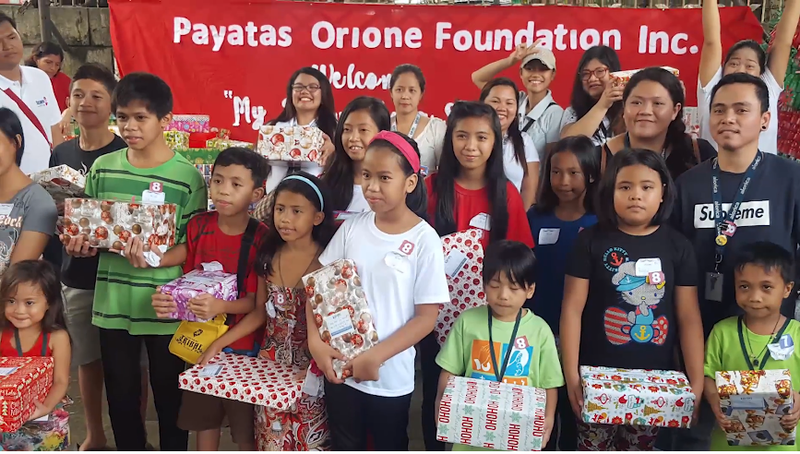 Doubling our efforts, our My Dream in a Shoe Box participation helped us become a “Platinum Sponsor,” from a “Gold Sponsor.” Our total donation is 650 shoe boxes filled with school supplies, with an additional 75,000 pesos in cash donations, which was given to the Payatas Orione Foundation. 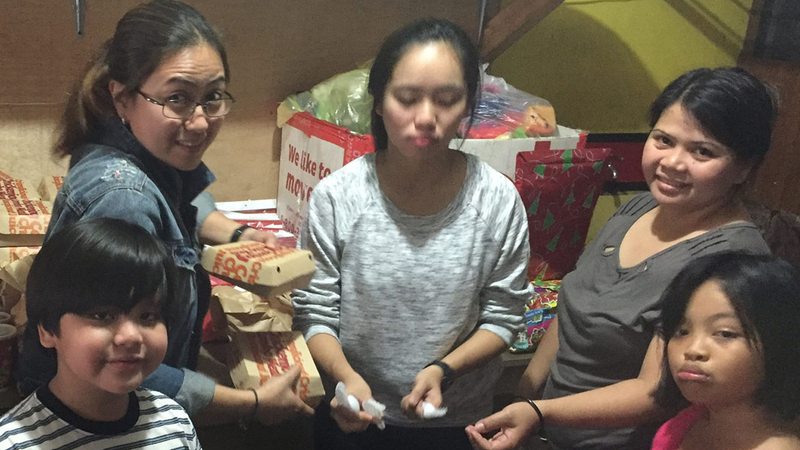 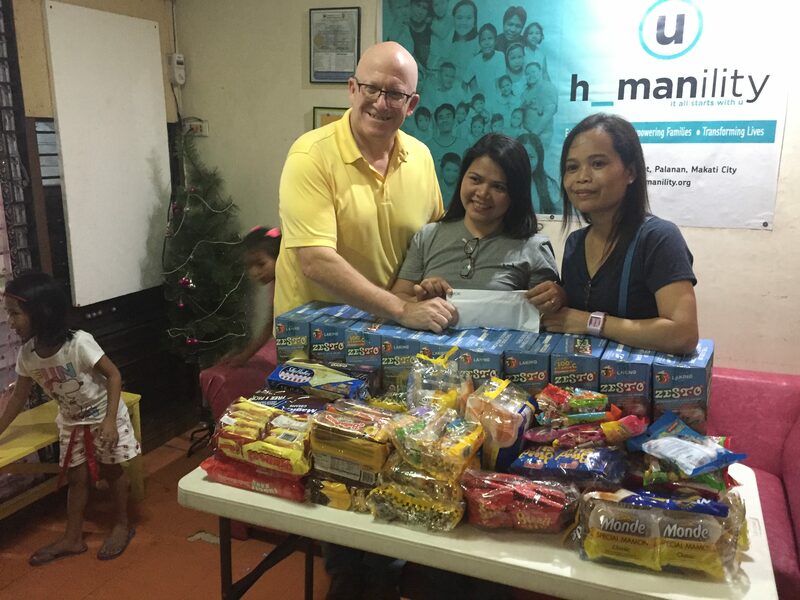 The Humanility Project is also among our partners, as we have given a cash donation of 75,000 pesos, as our Christmas Celebration was held at the Humanility Makati Shelter. 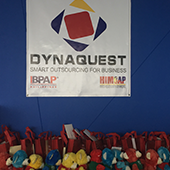 DynaQuest’s total donations were doubled, thanks to our pledge of matching and doubling the donations made by our employees. 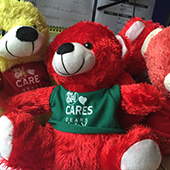 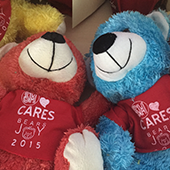 We also participated in the SM Cares, Bear for the Street Children program, where we gave away stuffed toy bears to the kids. 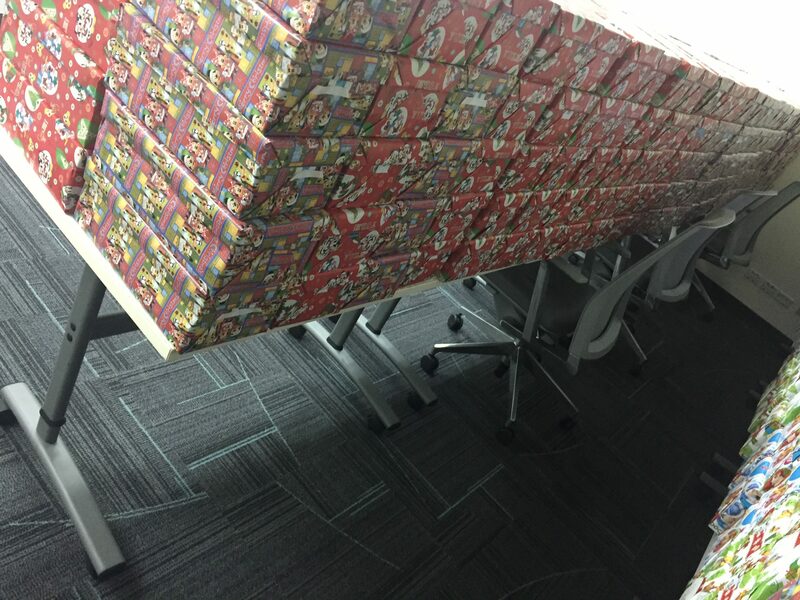 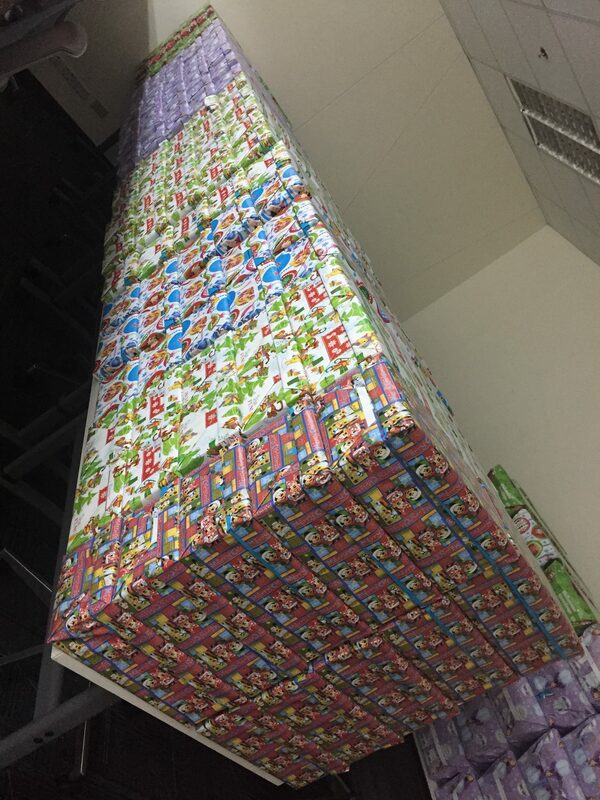 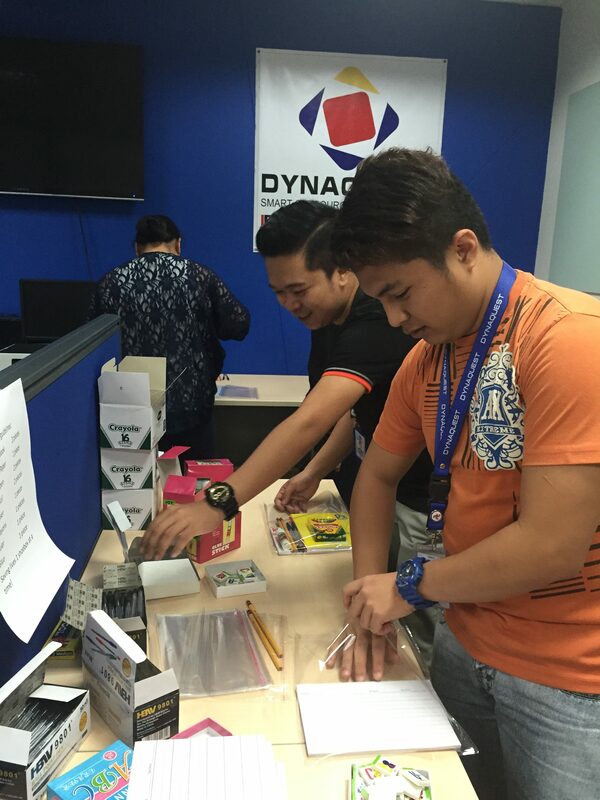 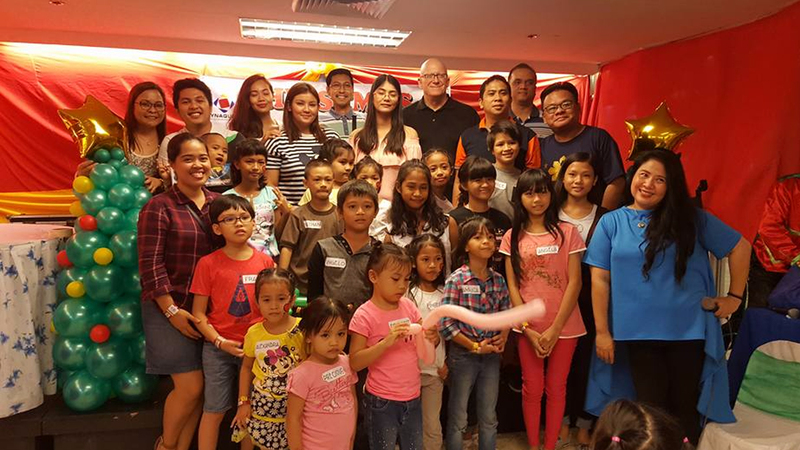 With an earnest goal of helping others, our DynaQuest family participated in IBPAP and TeamAsia’s My Dream in a Shoe Box campaign, where we raised 640 shoe boxes filled with school supplies, and contributed 60,000 in cash donations to help kids with their schooling, thus improving their lives. 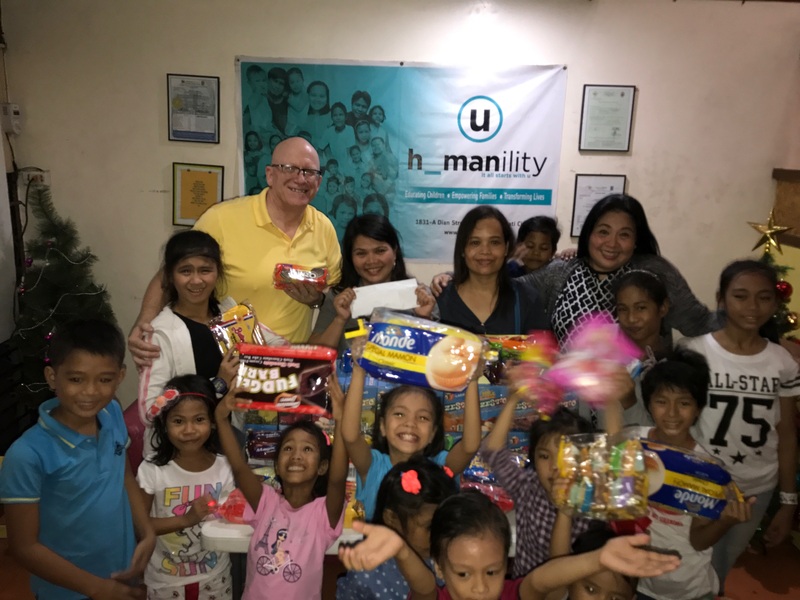 To double the overall extent of our help, we have announced that we will match and double all of our employee’s donations. 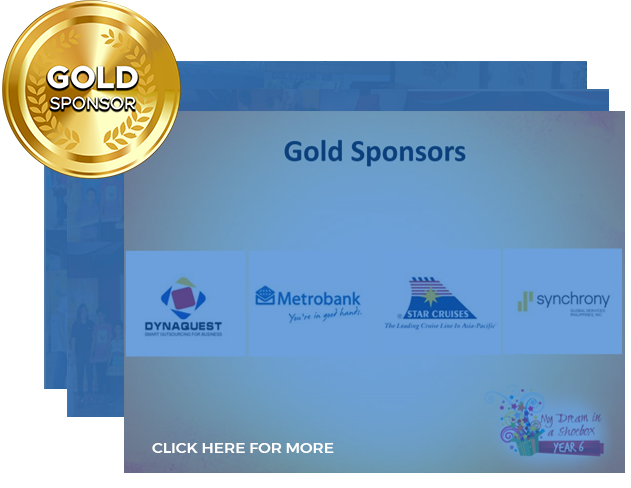 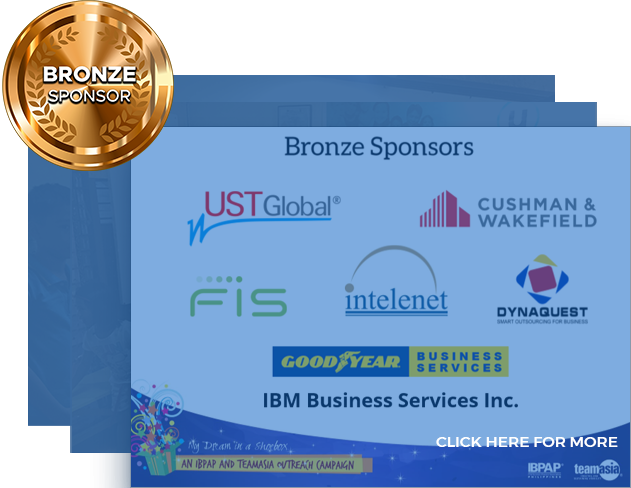 Our goal was a success, as we were declared as a “Gold Sponsor” of My Dream in a Shoe Box, thanks to the combined efforts our management team and staff. 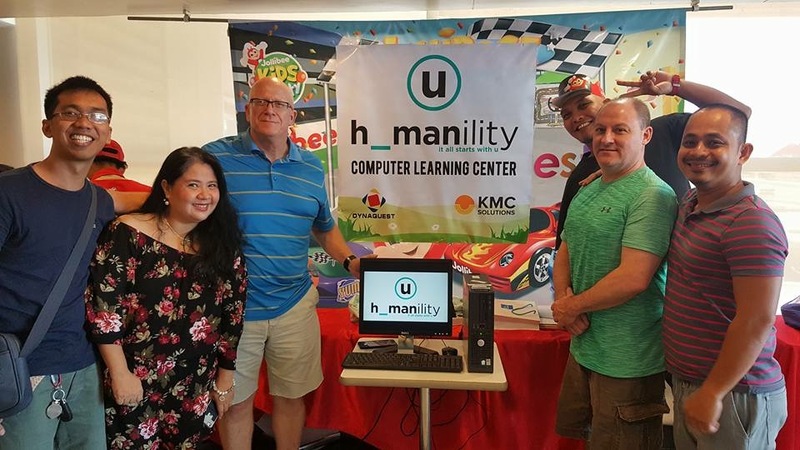 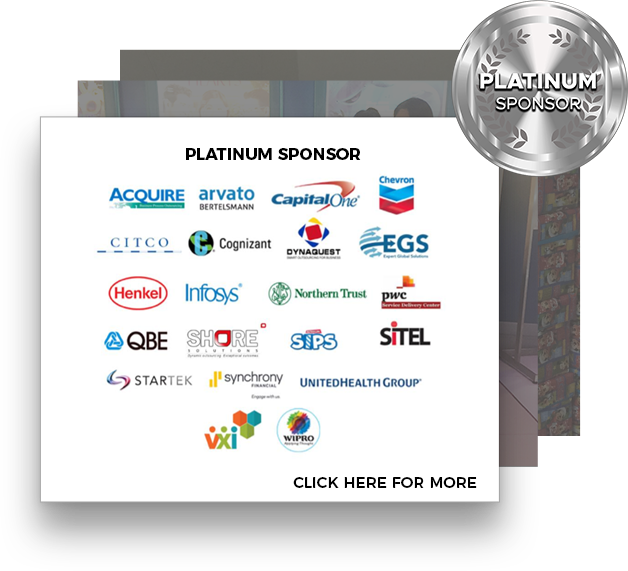 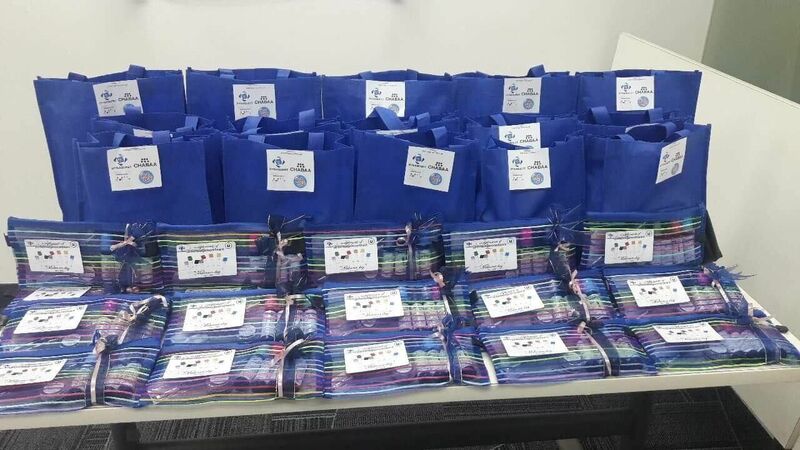 DynaQuest is a company that encourages its employees to be active in helping, and participate in its corporate social responsibility programs. 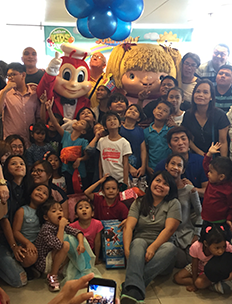 In our DQ family, we always strive to be good model citizens, which is why it led to the establishment of DynaQuest Angels. 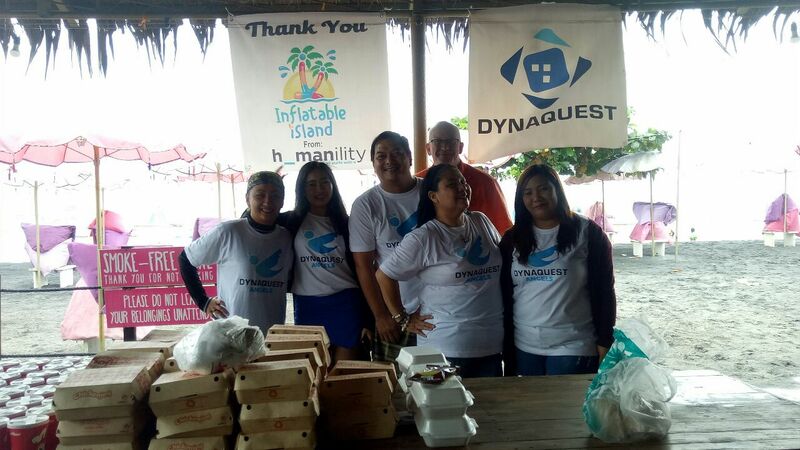 With DynaQuest Angels, we aim to help more communities, not only through financial means, but through initiatives that will help them become fruitful members of the society.